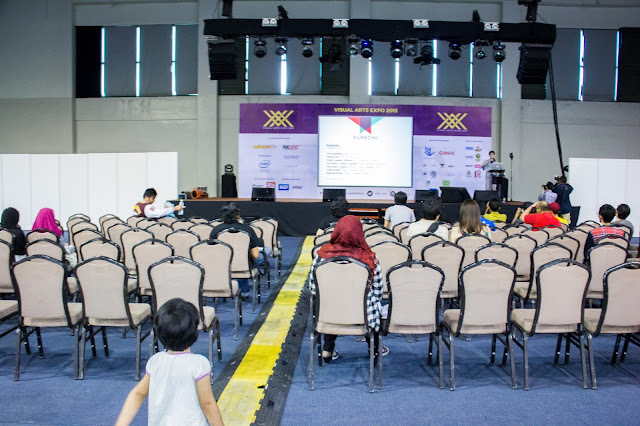 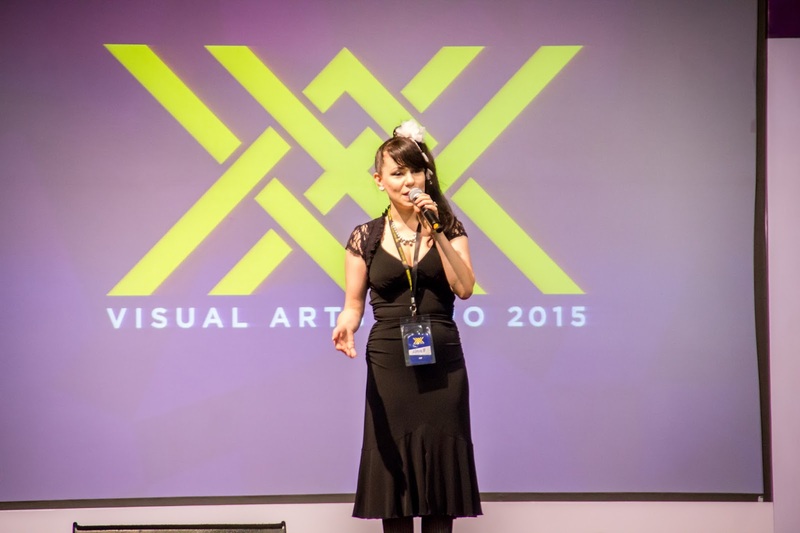 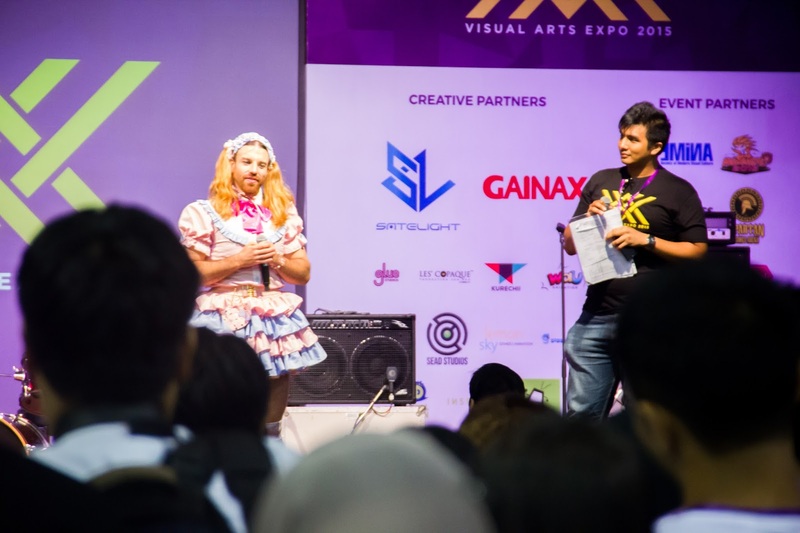 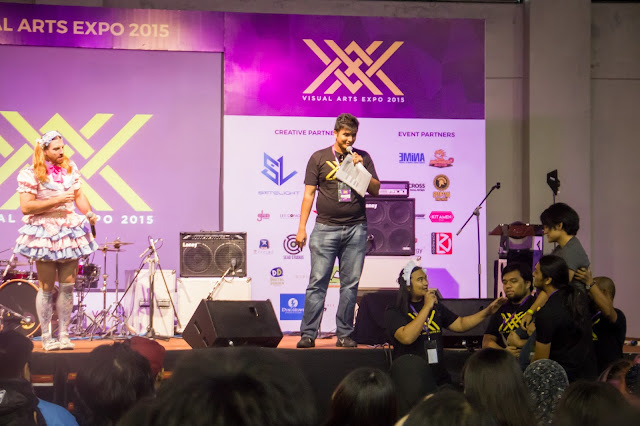 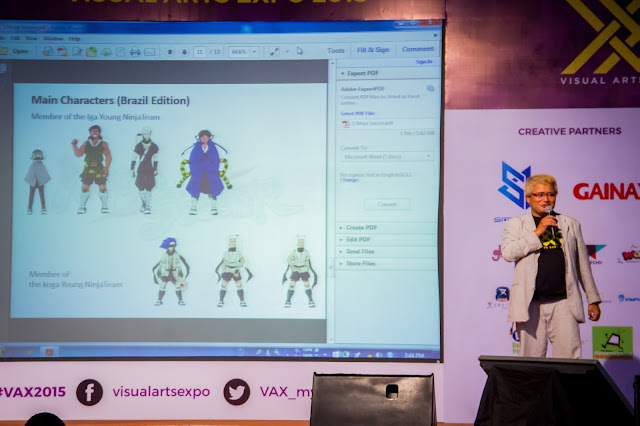 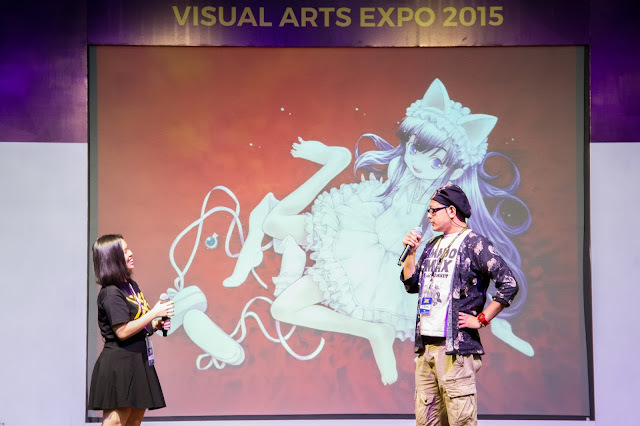 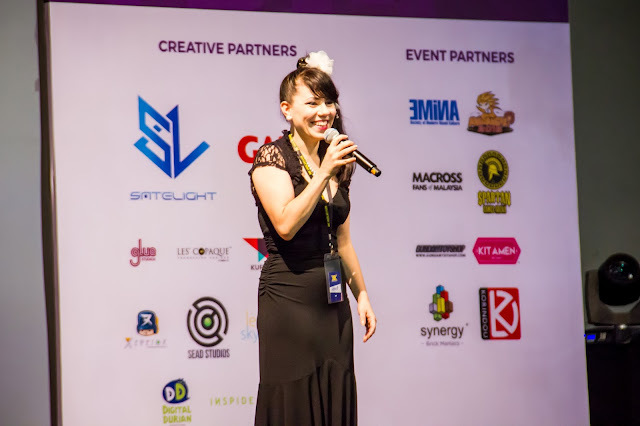 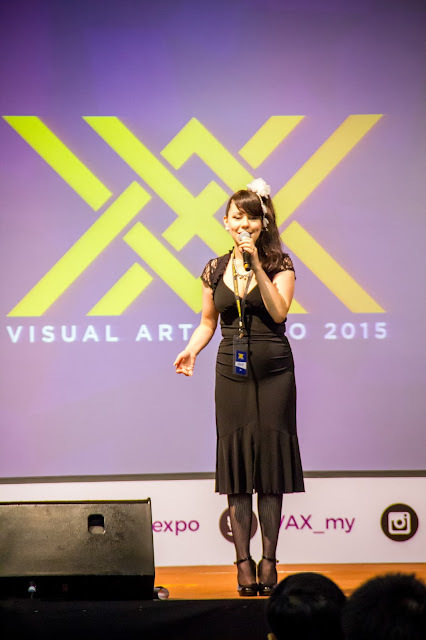 Visual Arts Expo (VAX) is a new animation, comics and games event featuring creative companies from Malaysia and around the world! 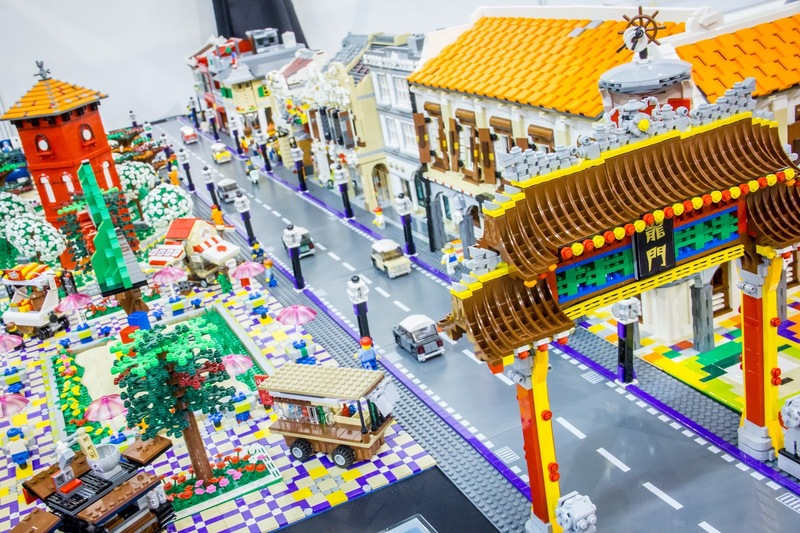 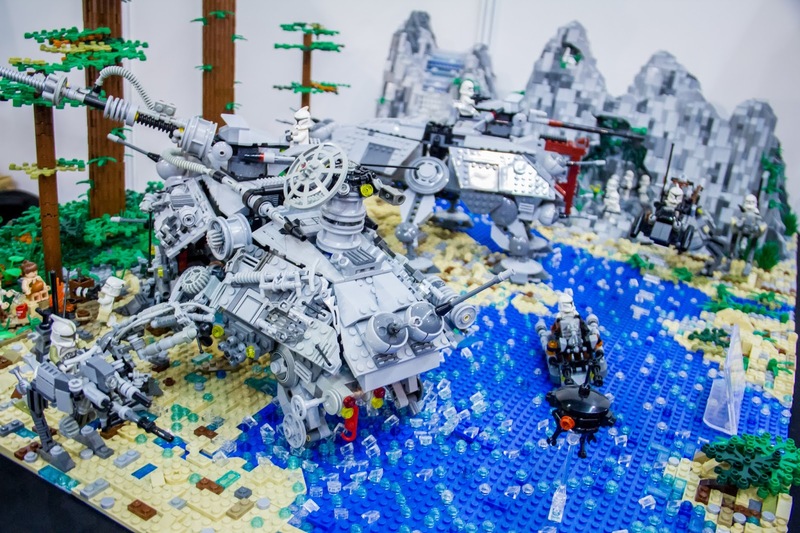 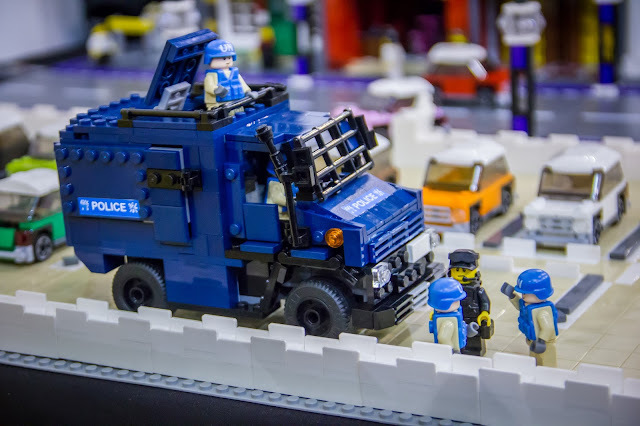 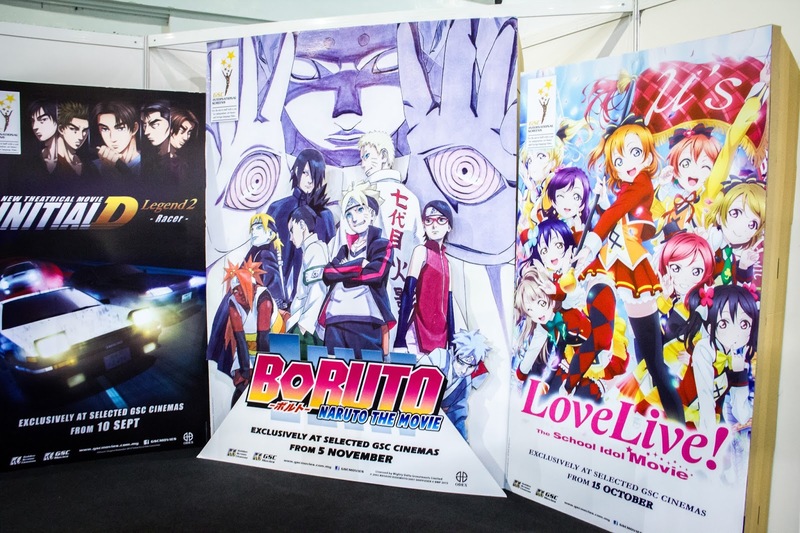 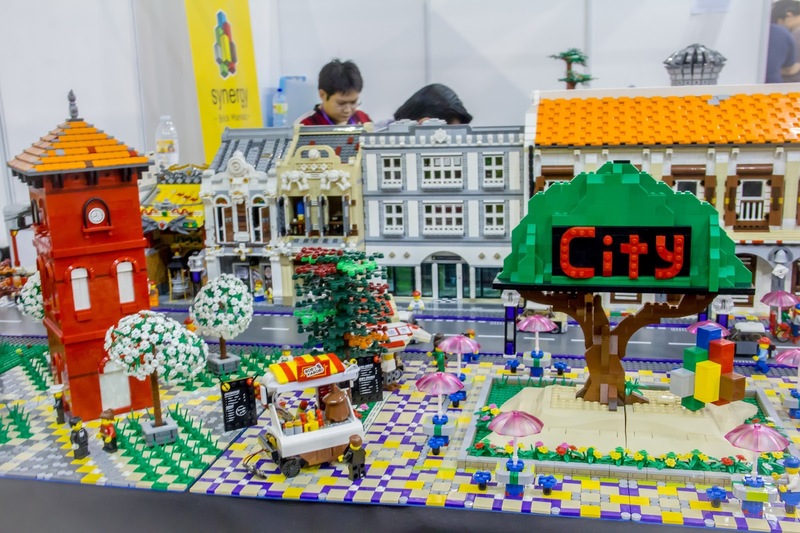 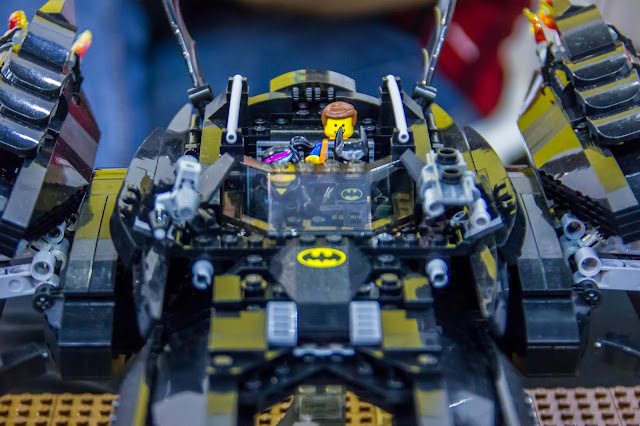 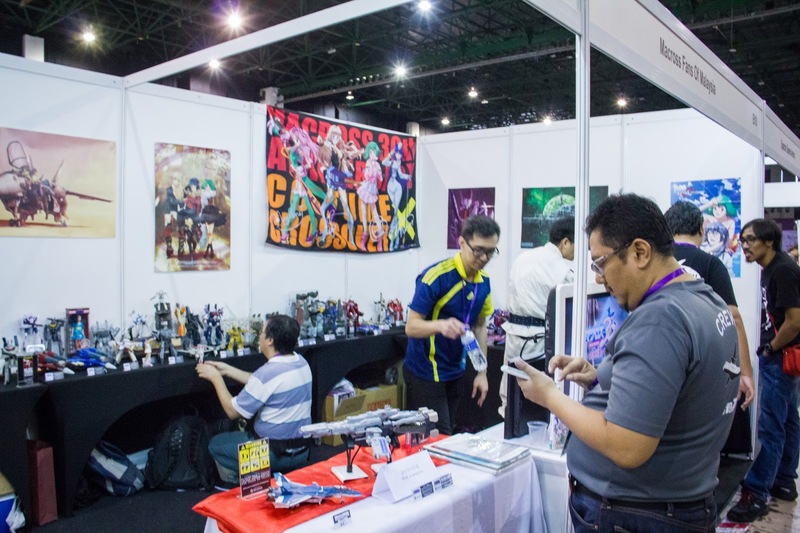 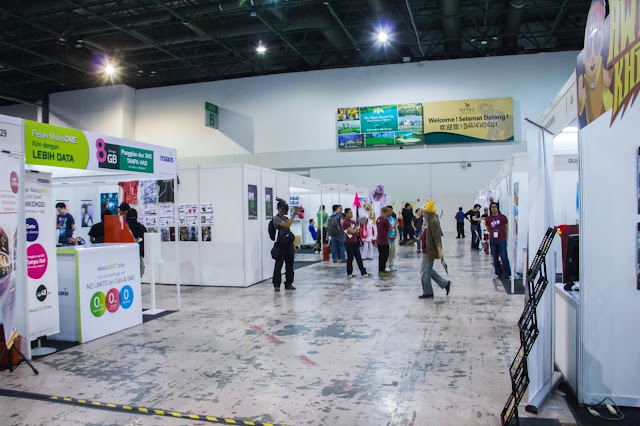 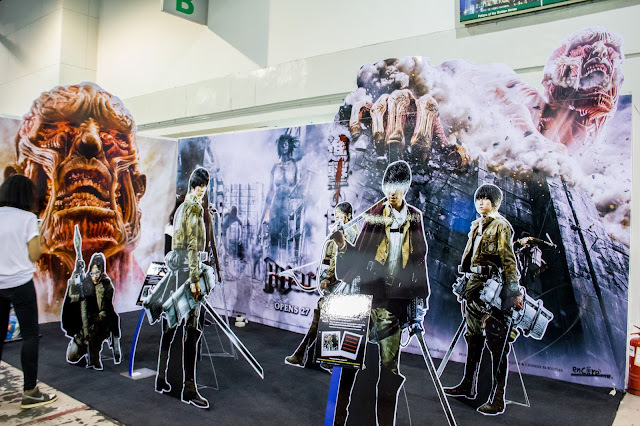 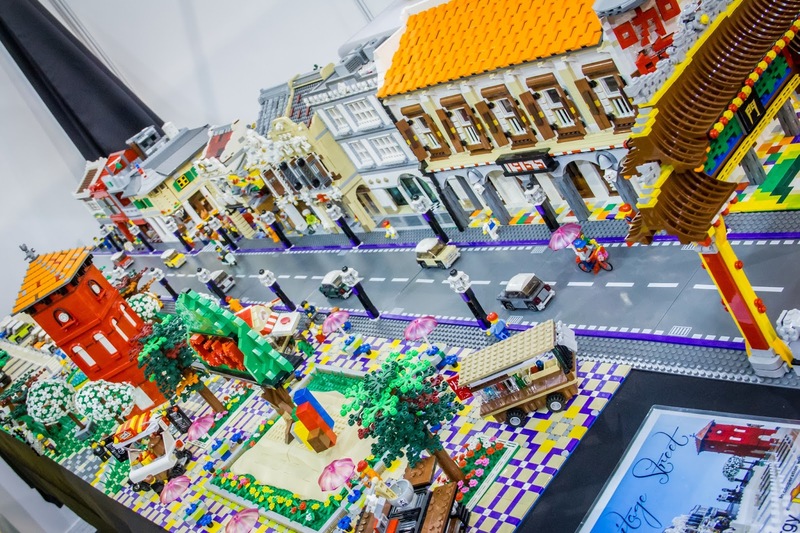 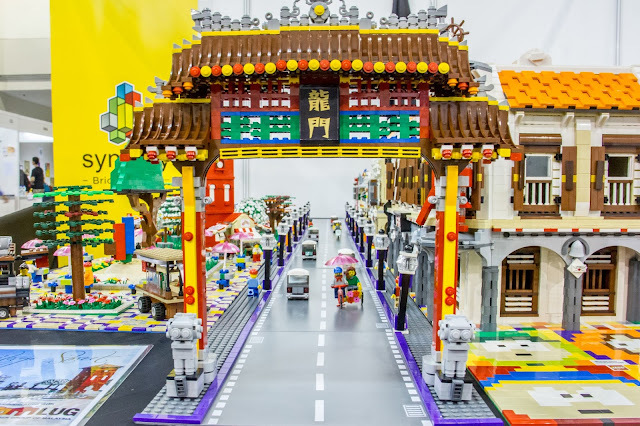 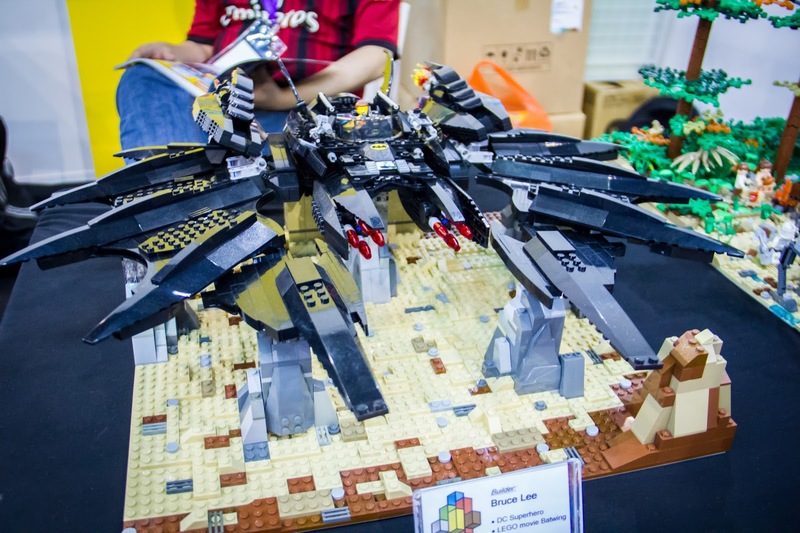 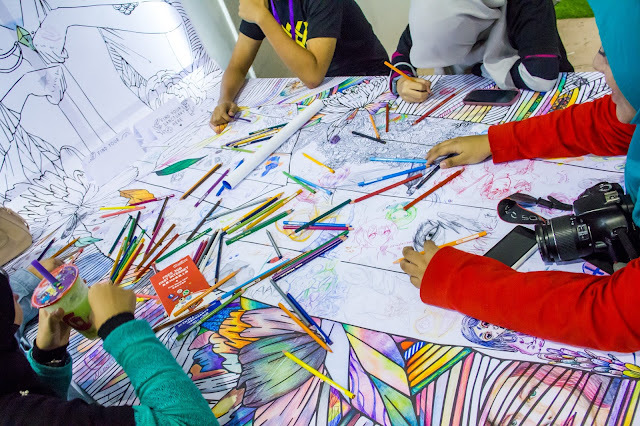 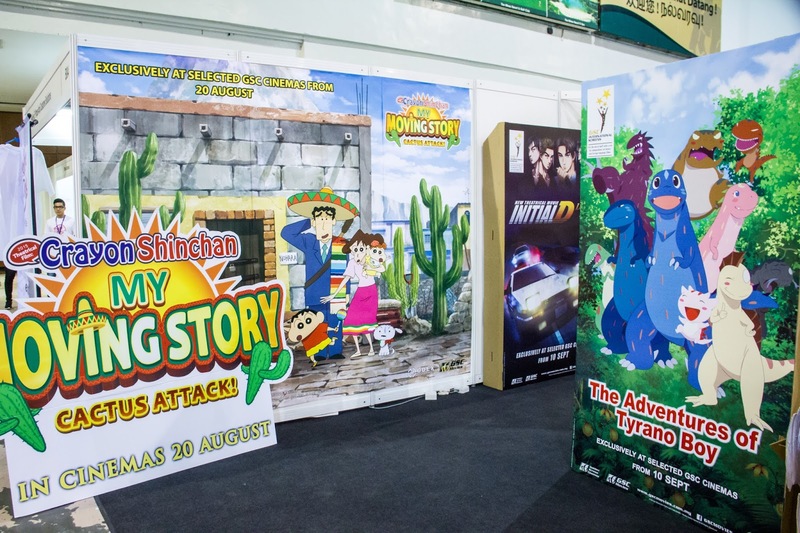 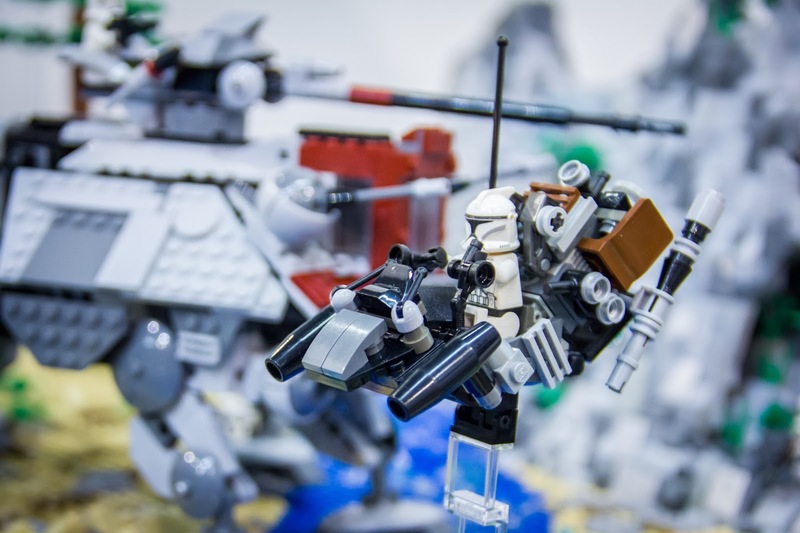 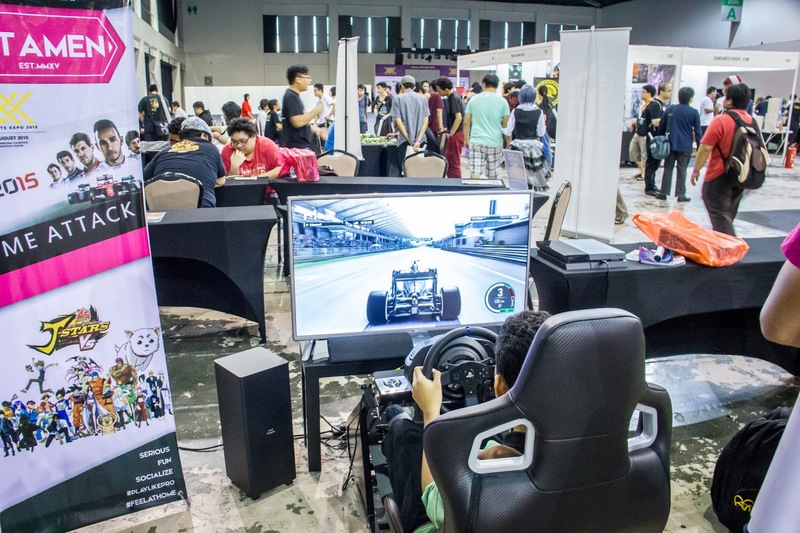 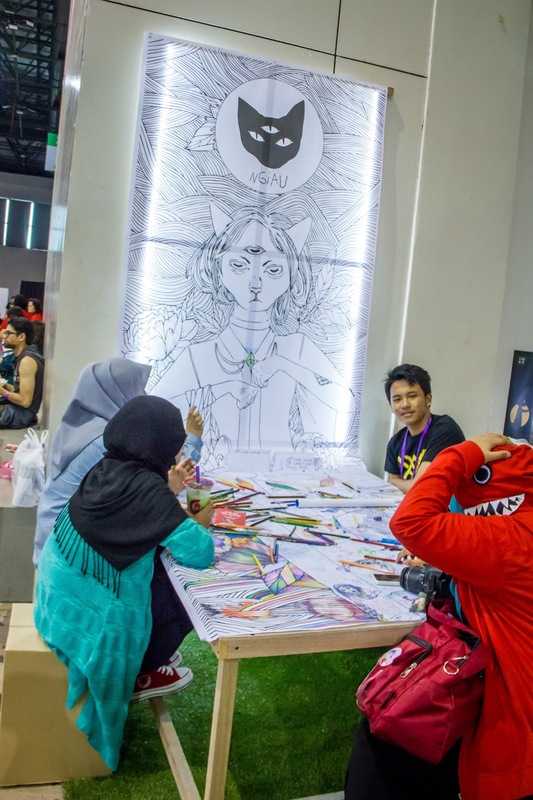 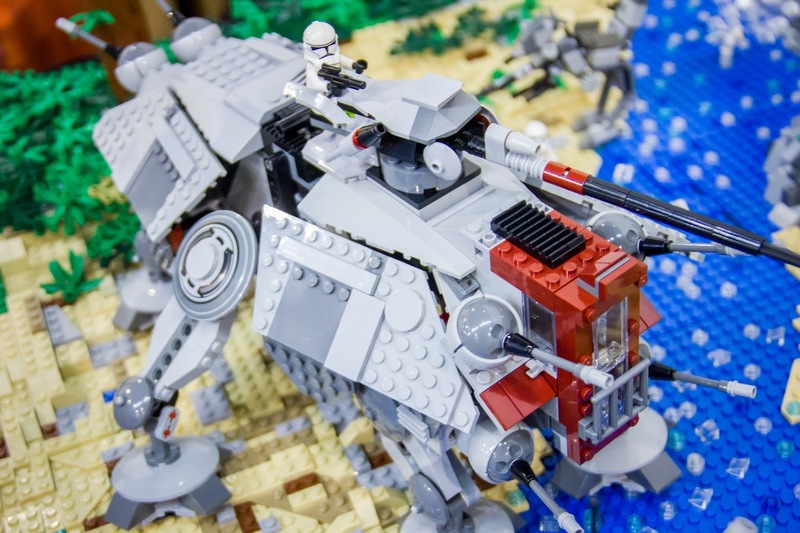 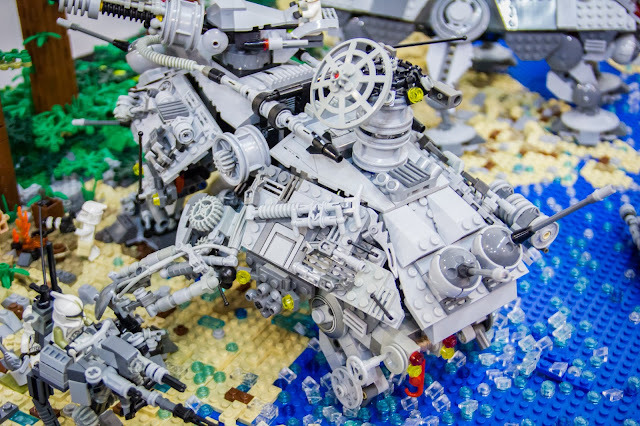 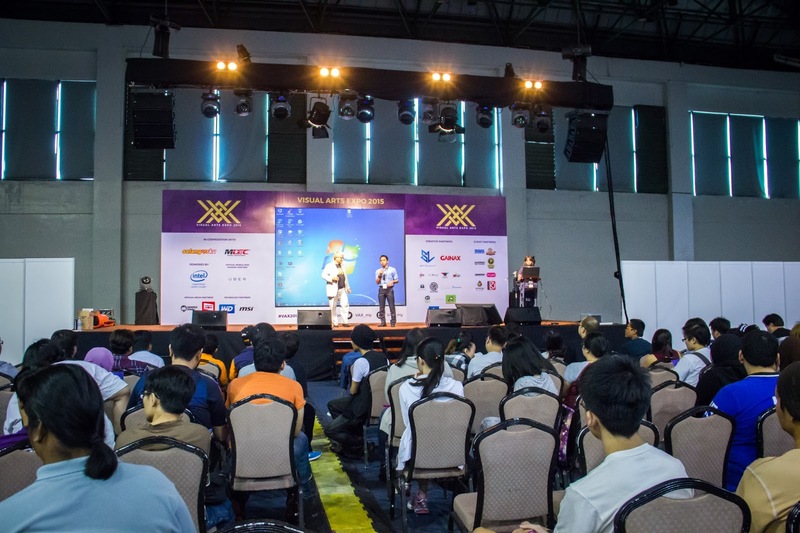 It is a two-day event from 22 to 23 August 2015, showcasing to the public the best and the cutting-edge in visual arts, which encompasses animation, comics, film, music and video games. 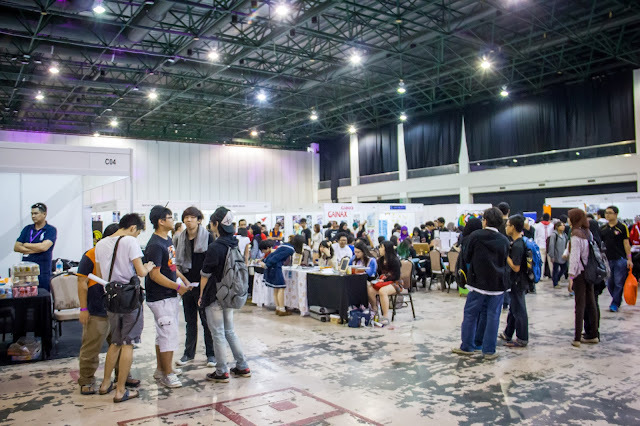 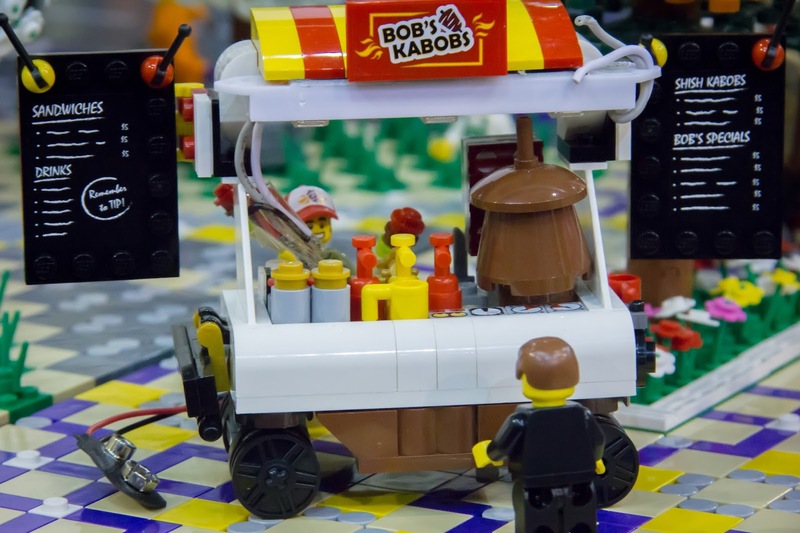 On top of the expo, there will be a closed-door business-matching session, where exhibitors, vendors, and sponsors may interact with each other. 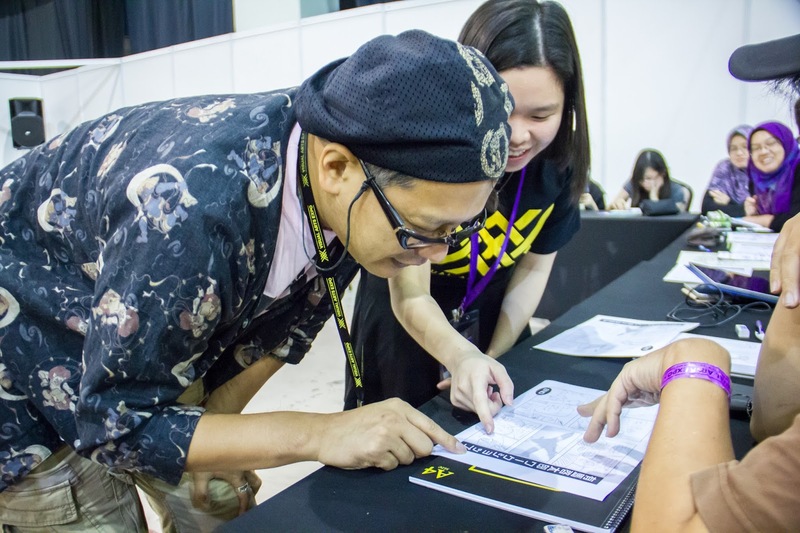 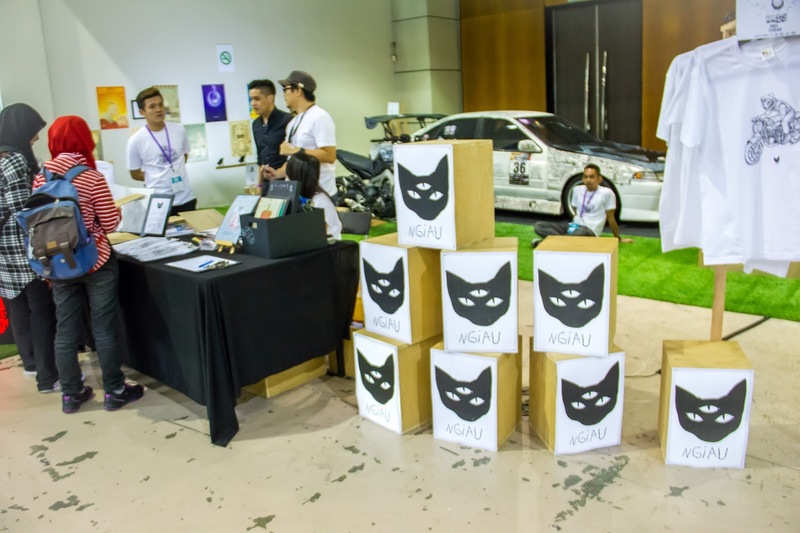 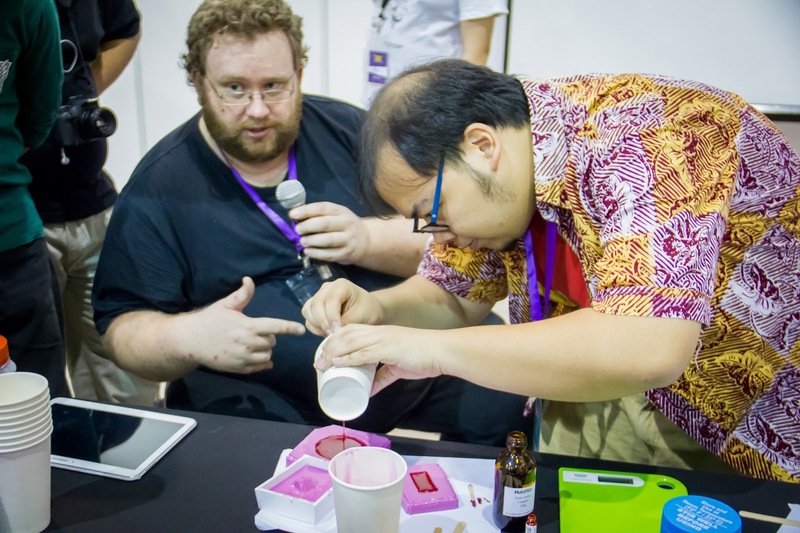 VAX will serve as an exhibition for local creatives to showcase their work, and giving them to platform and opportunity to expand their services and market their products to markets outside Malaysia. 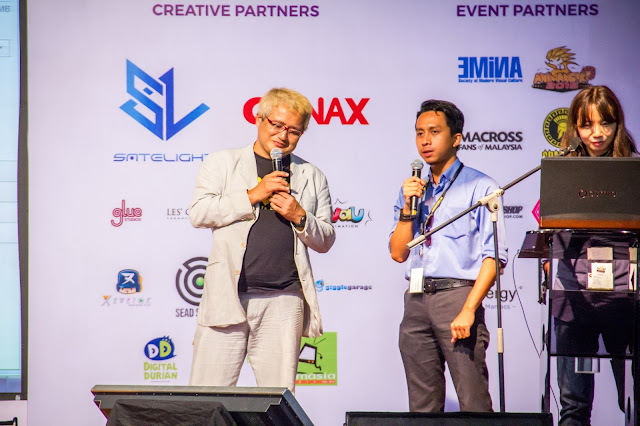 By connecting local creatives with industry players from Japan, America and Europe, its goal is to establish new relationships and spark more growth for both local and foreign creatives. 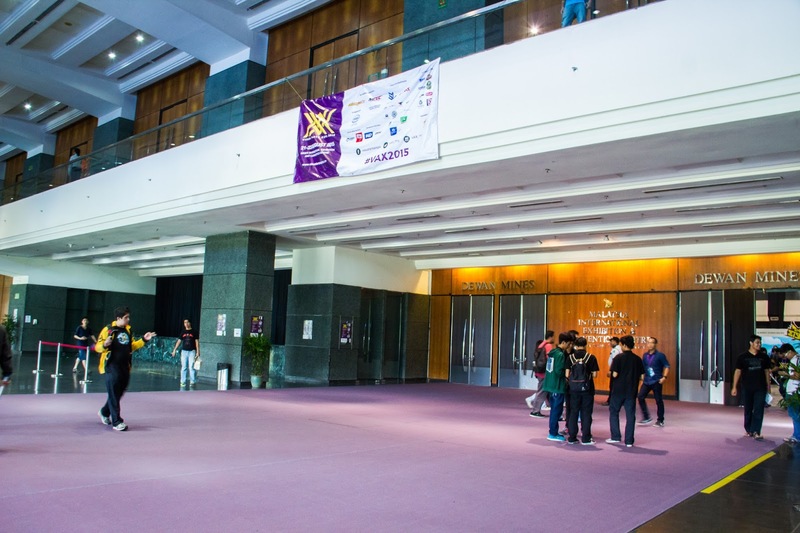 I've been there for two days, and I must say it is very enjoyable and fun for a medium sized event. I've come rather early for the event. 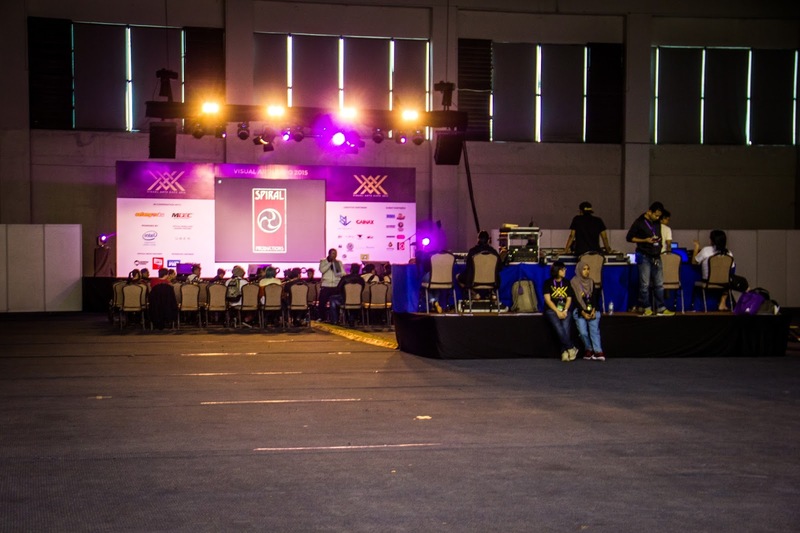 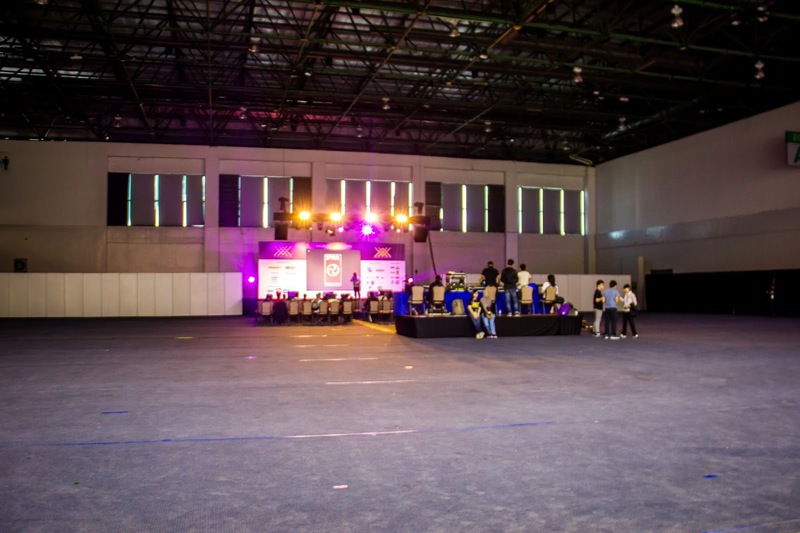 As you can see, the venue itself is huge for a rather medium size event, making it looks kinda empty. 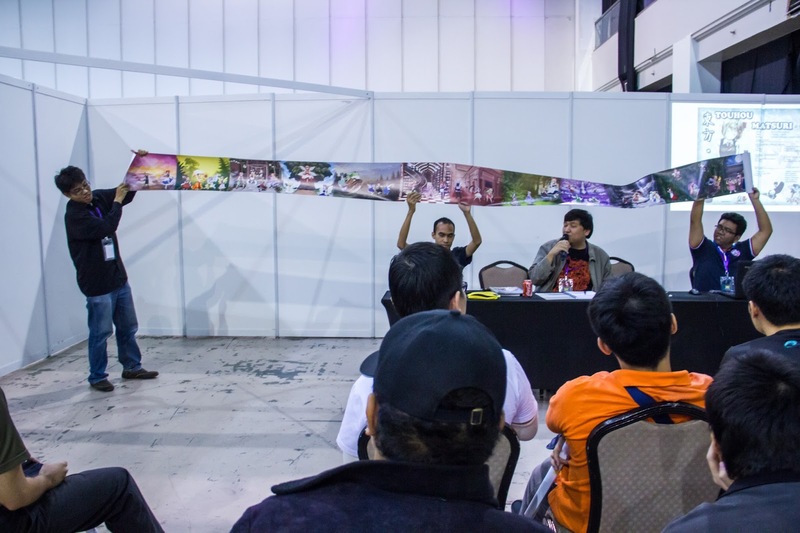 Yet, the most important stuff is not the size, rather the contents of the event itself. 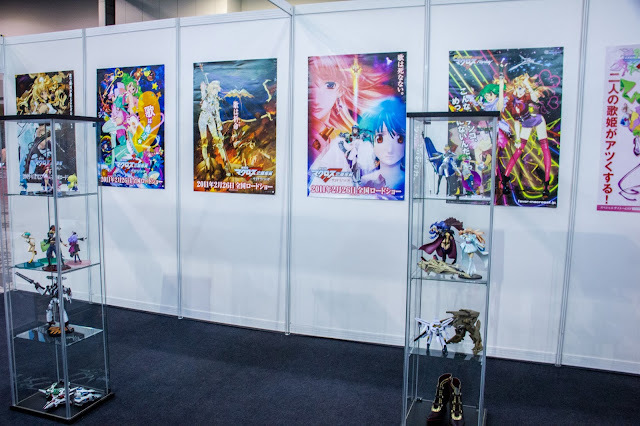 Small amount of doujin booths had been set up for the event. 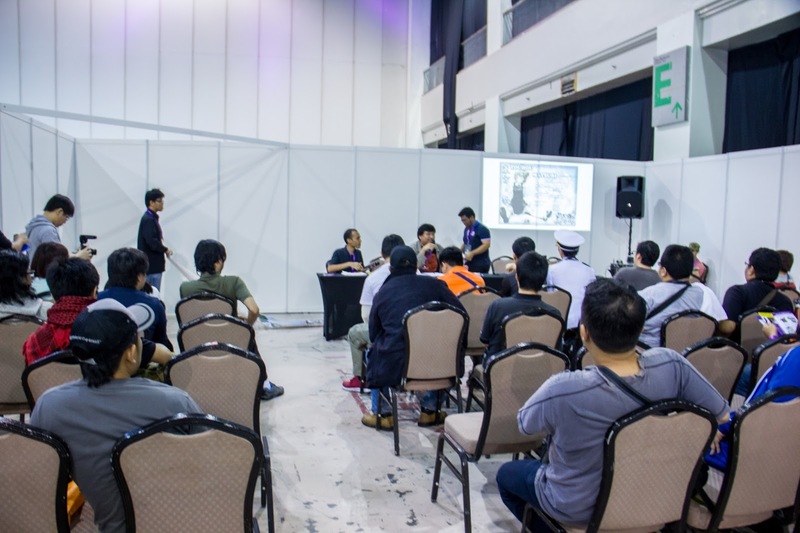 The focus of the event is the panels, so it is understandable if they do not rely much on doujins set up. 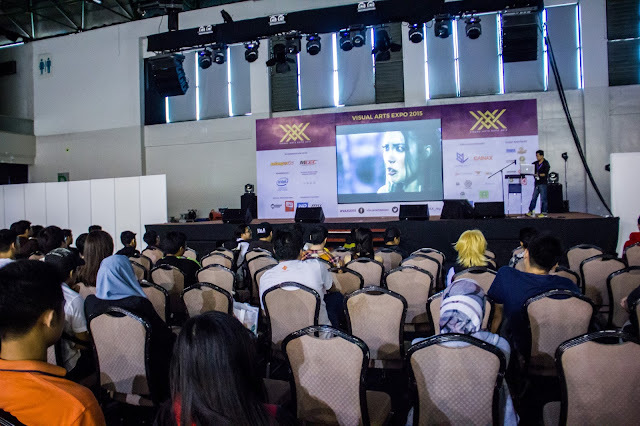 Screening of movie on the main stage. 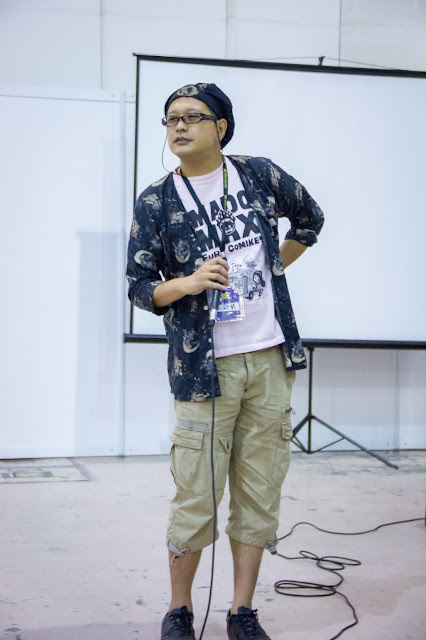 The first special guest, Keitaro Arima. He's a popular manga artist and also educator. 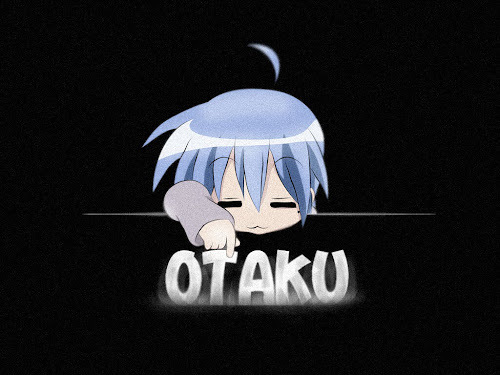 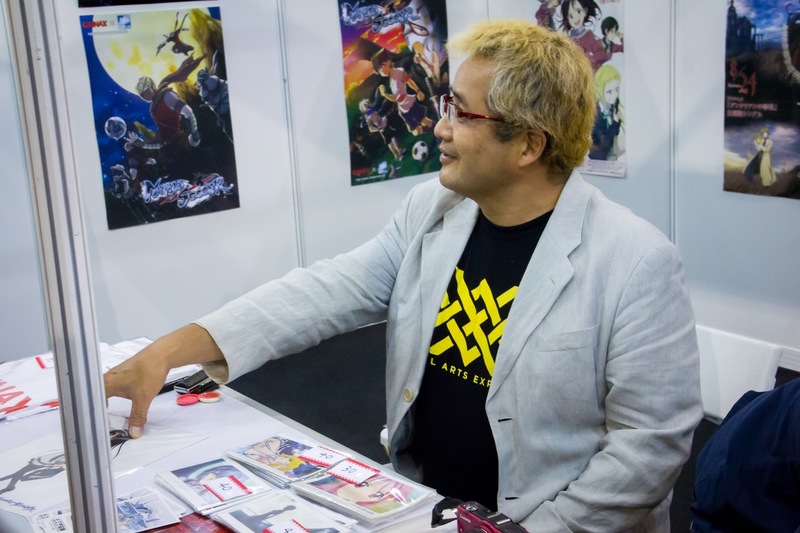 He's famous for his work Tsukuyomi: Moon Phase which was adapted into a TV anime by studio SHAFT in 2004. 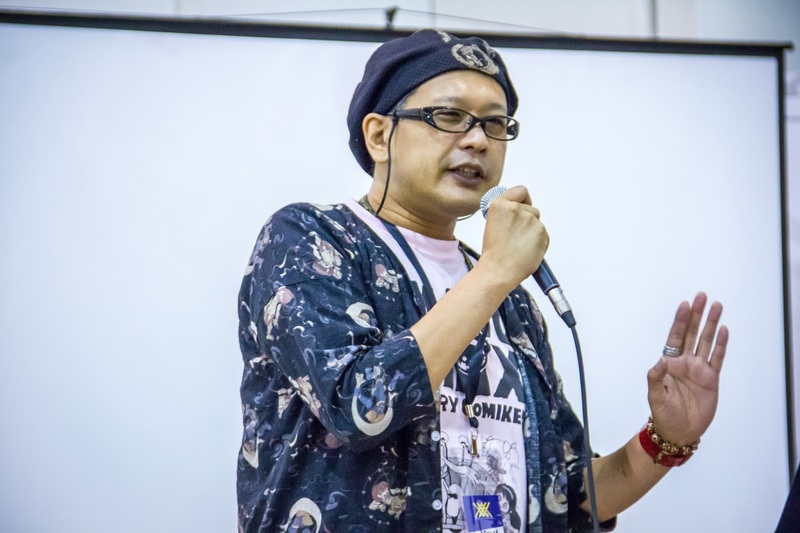 He now trains young artists at the Osaka University of Arts. 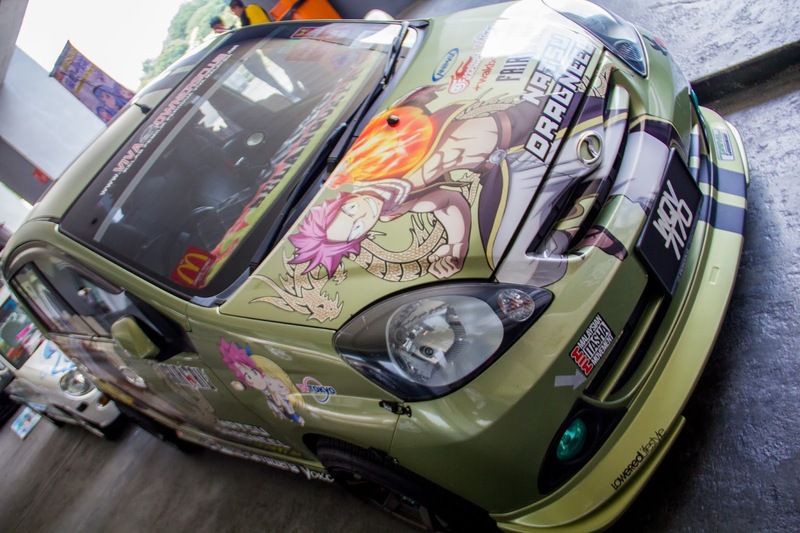 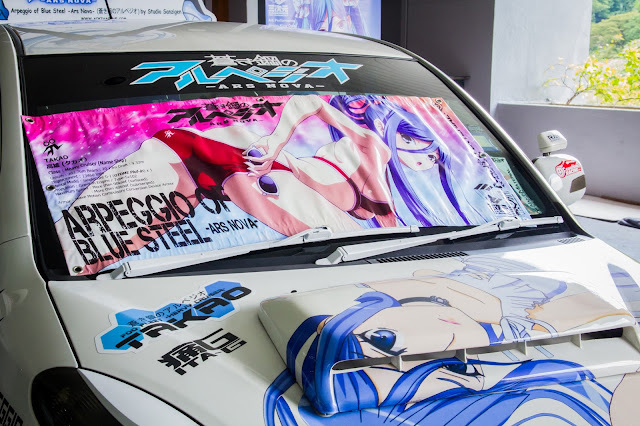 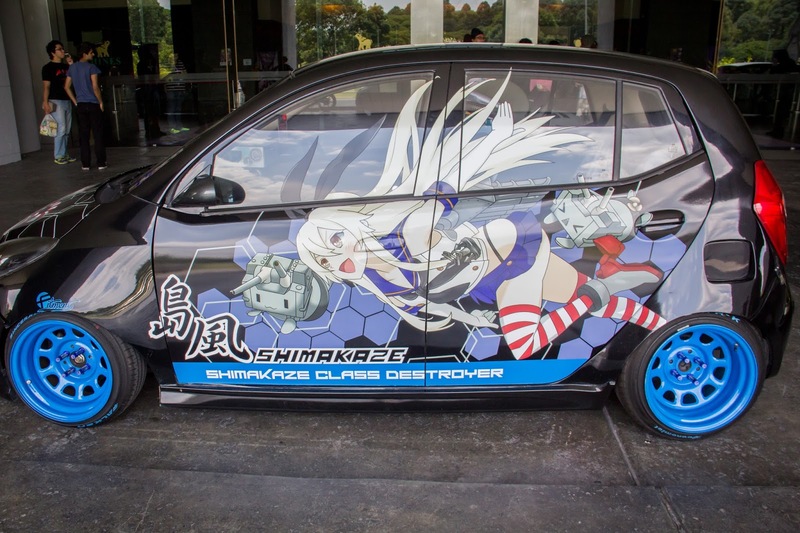 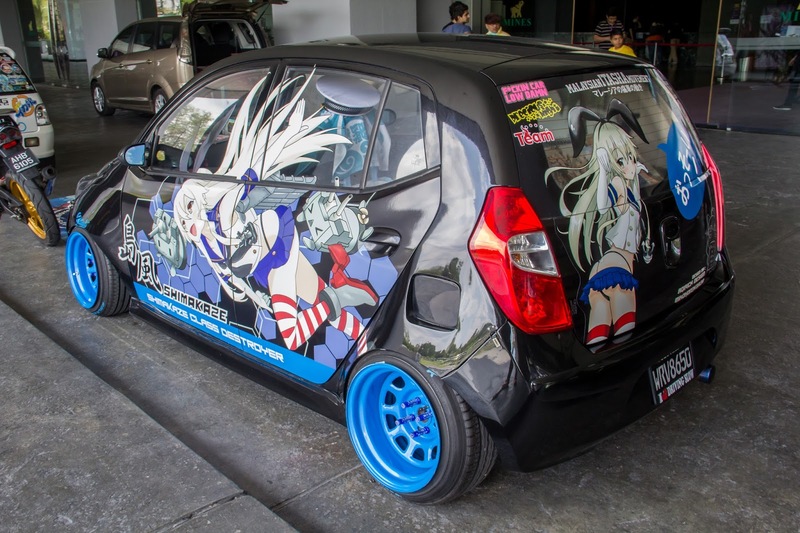 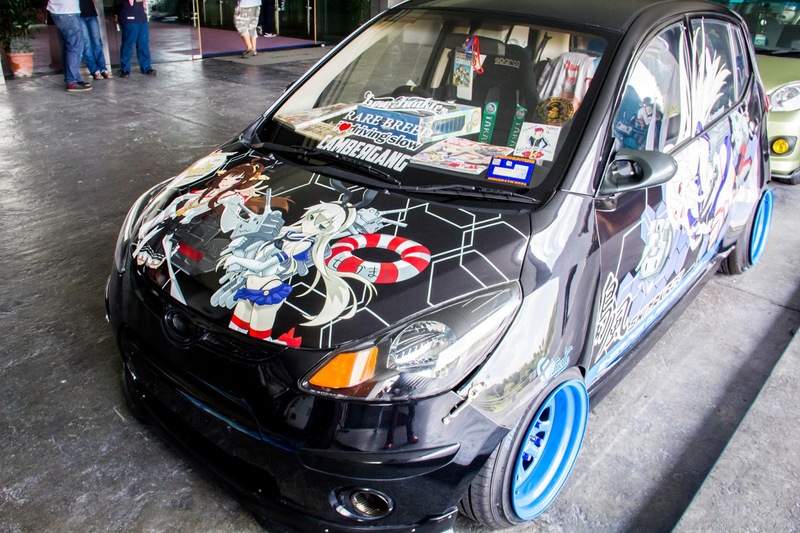 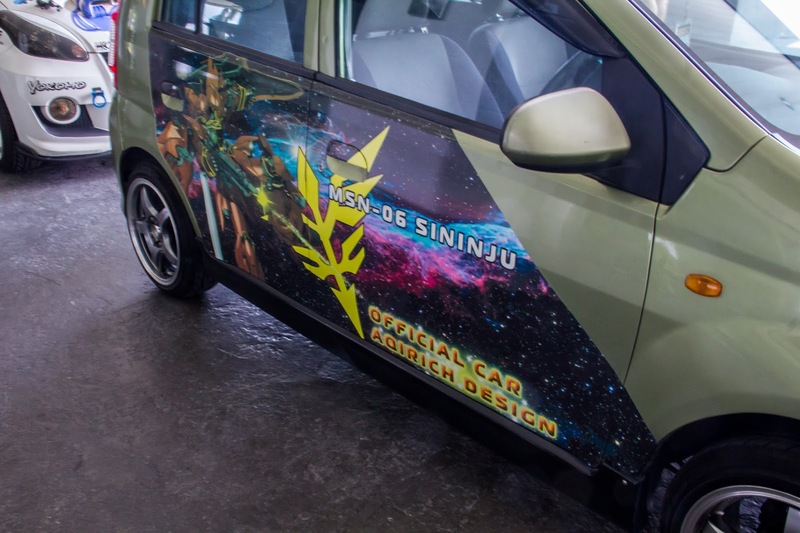 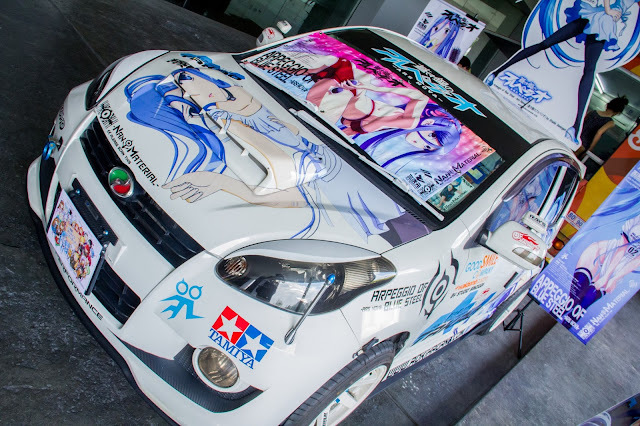 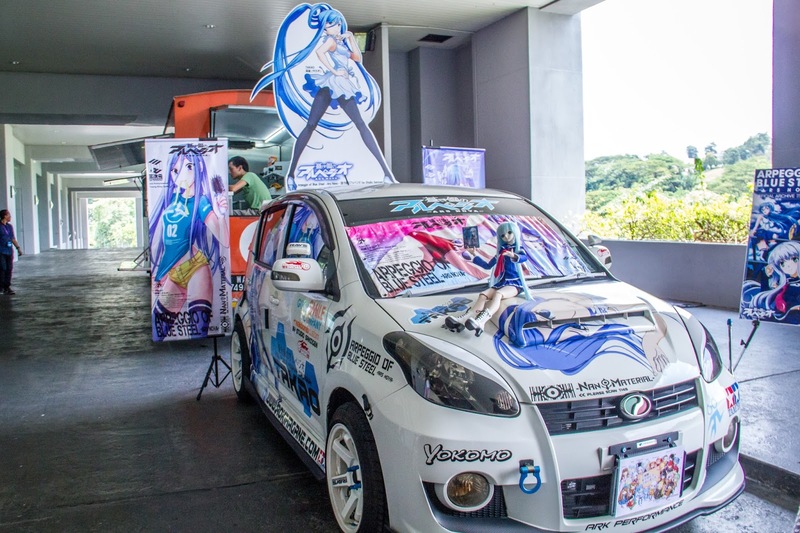 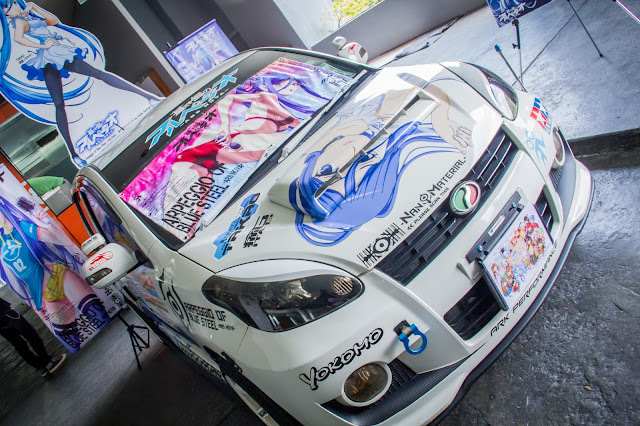 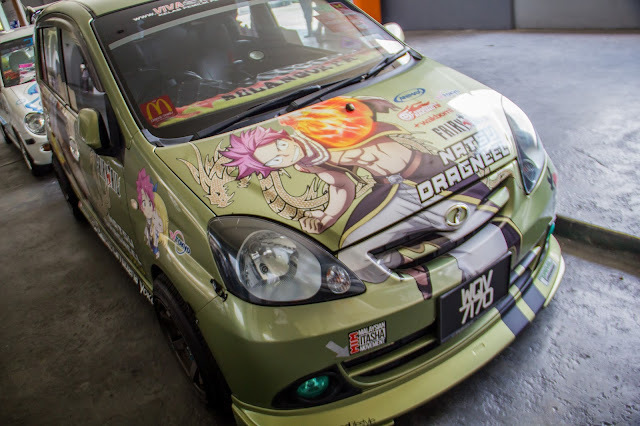 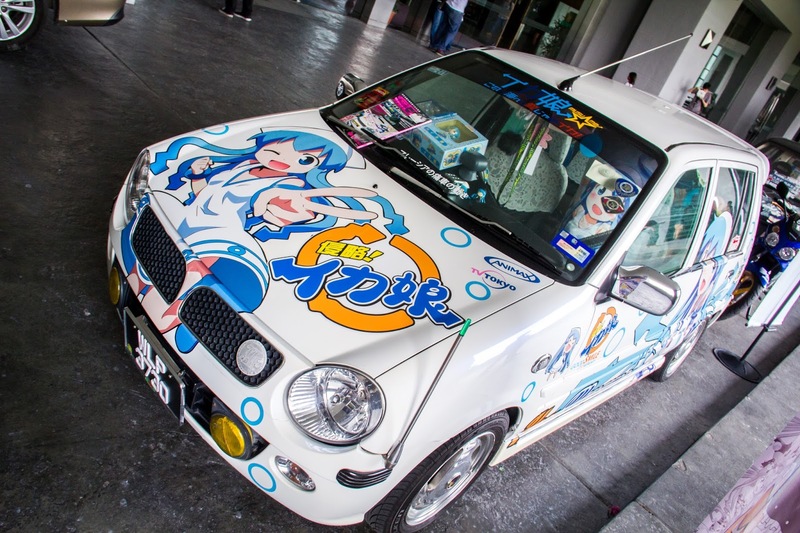 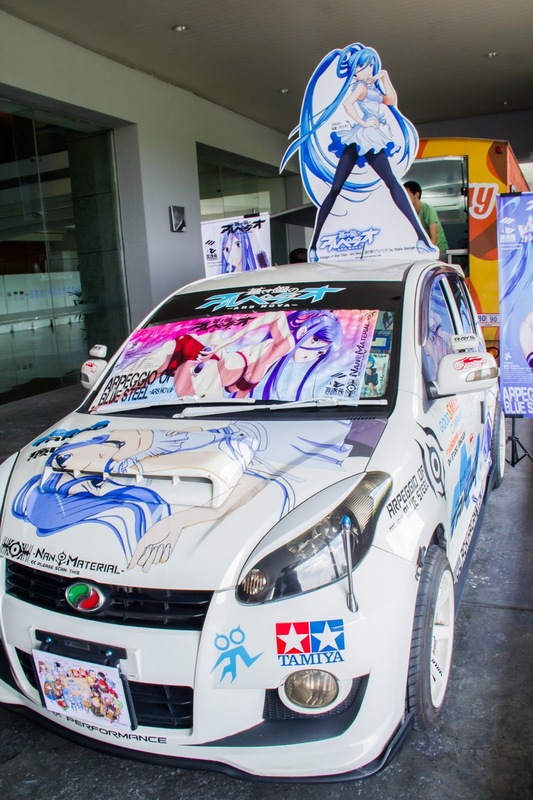 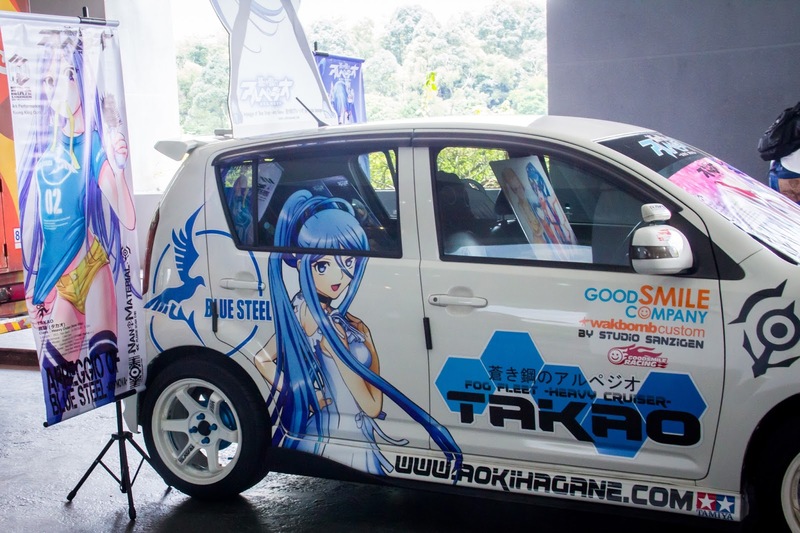 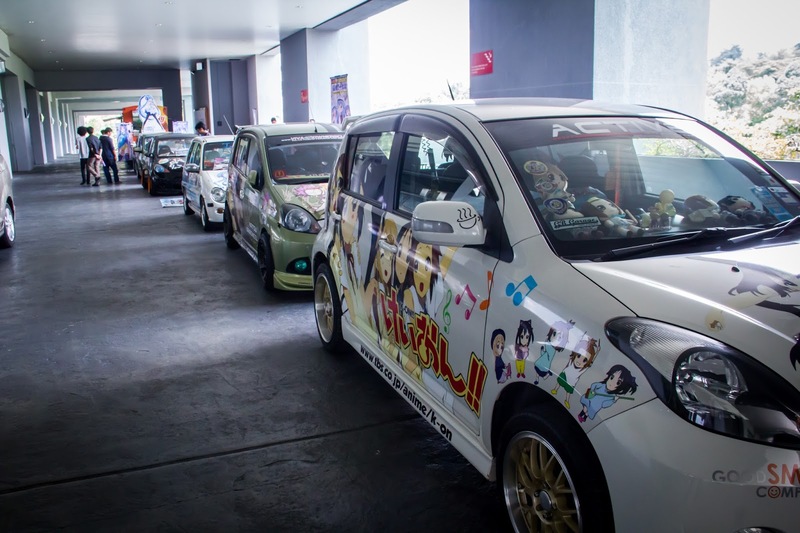 Display of Car with Itasha (anime stickers) by the Malaysia Itasha Movement outside the hall. Back inside the hall, we can see some of the panellist booth such as Studio Satelight booth over here. 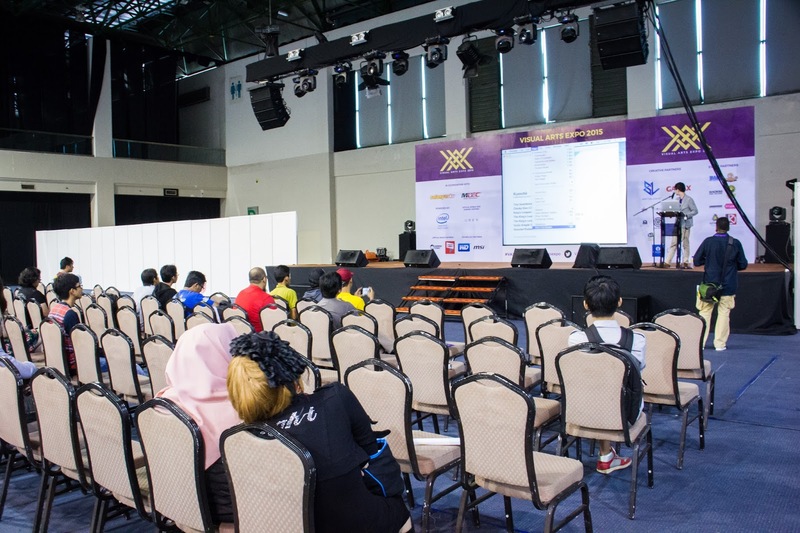 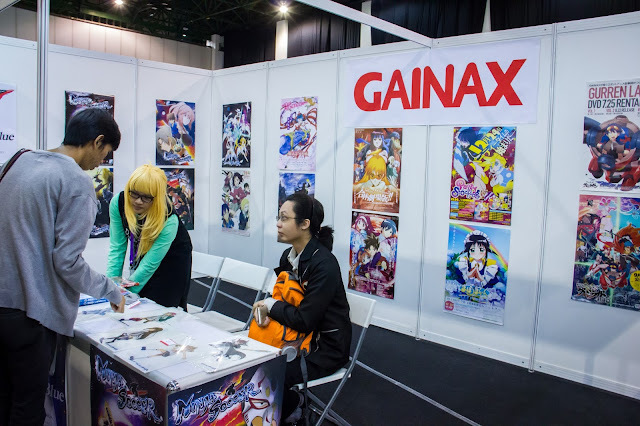 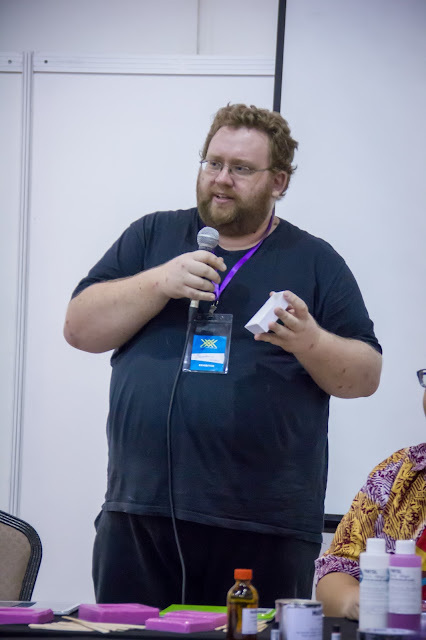 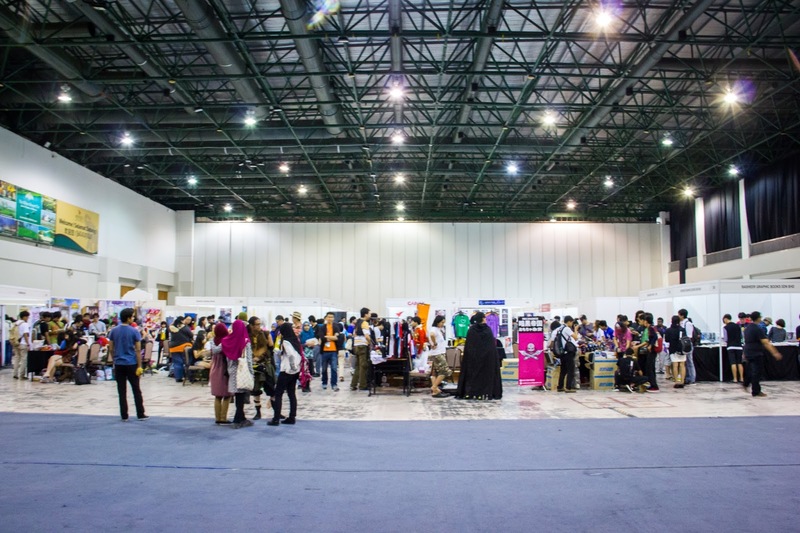 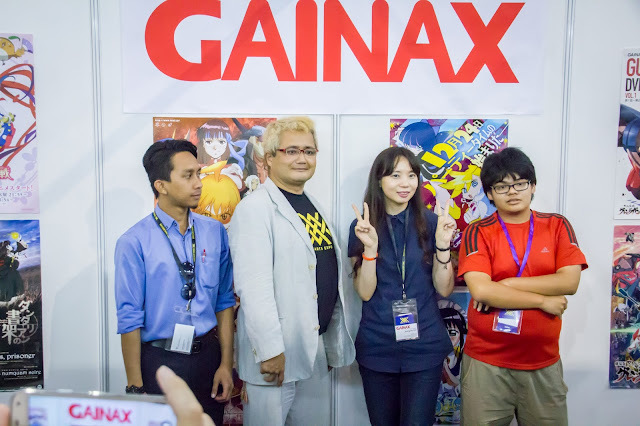 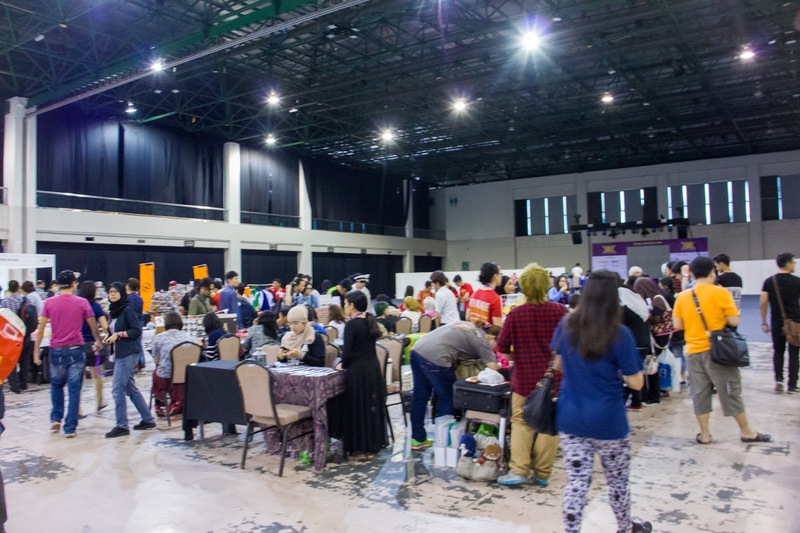 As a part of their main activity, they also held a special interest panels, where people can talk about their passion or promote their works in the allocated place and time. 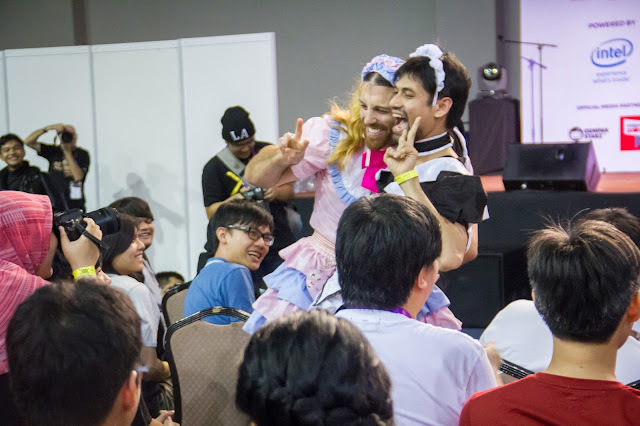 I must say this was a very refreshing experience. 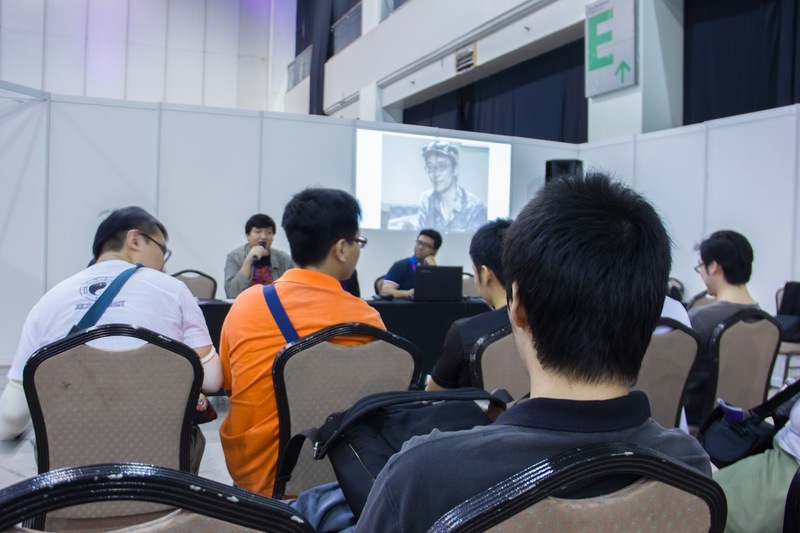 The first panel I've attend to is about Touhou, where the group talk about their love for ZUN and bullet shooting girls. 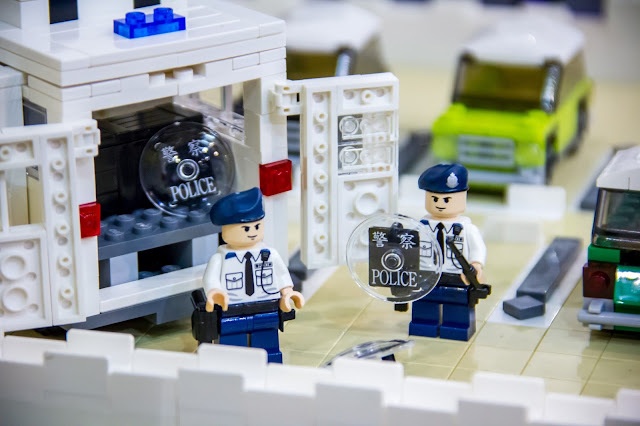 The other activity include Hobby workshop. 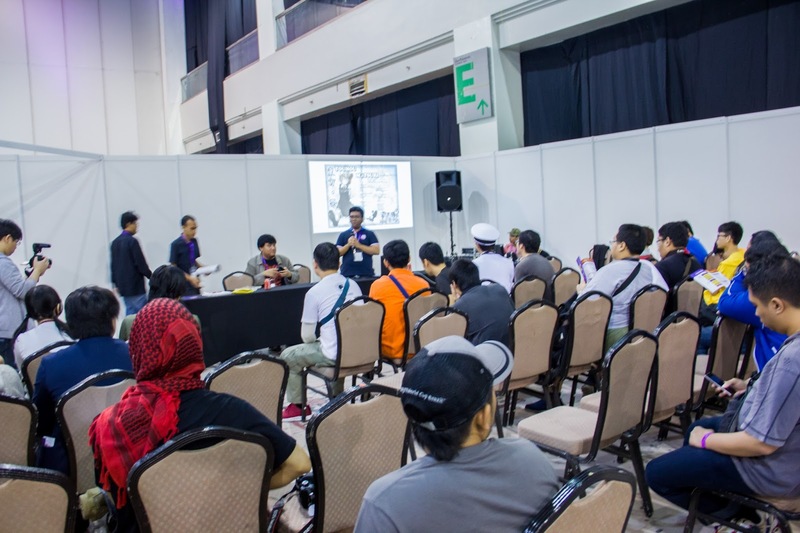 One of them was a manga workshop conducted by Keitaro Arima-sensei himself. One of the exercise is to do a storyboard. 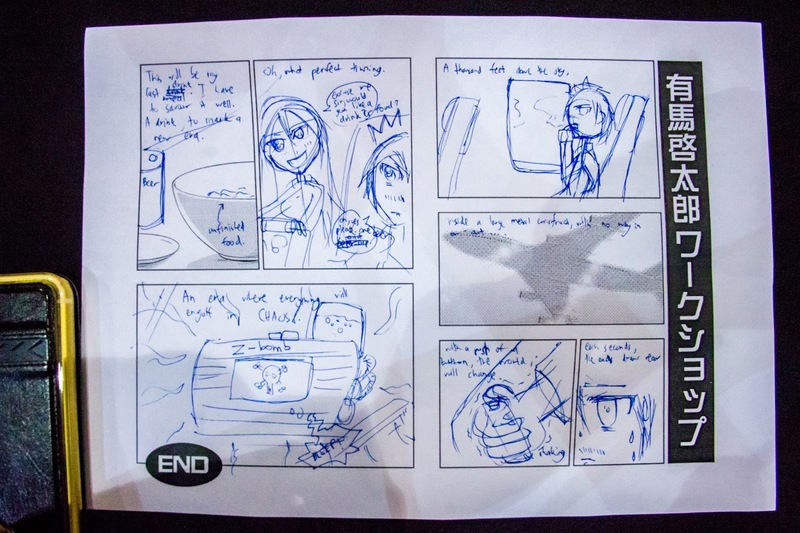 As you can see I've done some kind of short storyboard here myself. 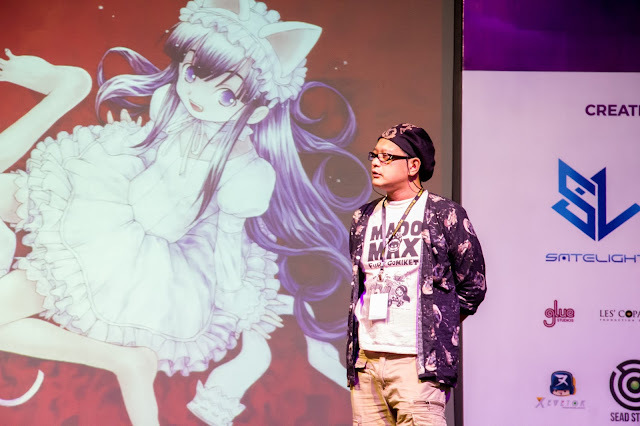 Back to the stage event, we have another important guest which is Hiroyuki Yamaga, CEO and co-founder of Studio GAINAX. 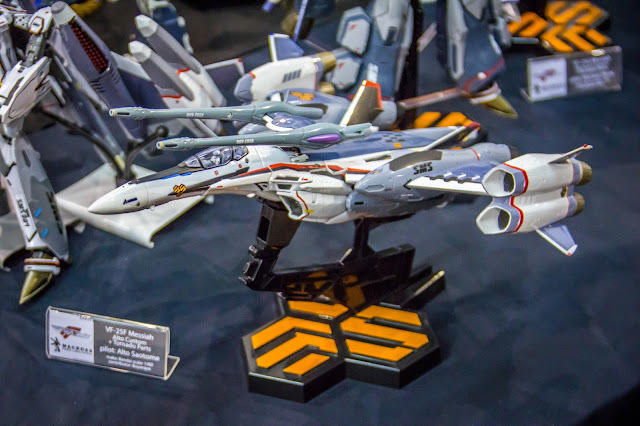 In the past, he's worked on many aspects of anime production within GAINAX, serving as the executive producer on FLCL and the Neon Genesis Evangelion Death and Rebirth movie. 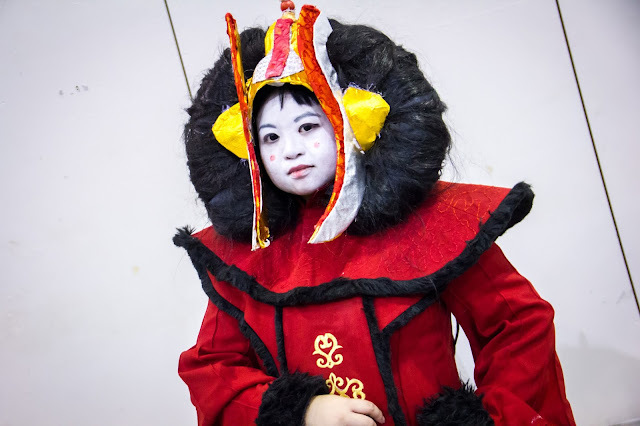 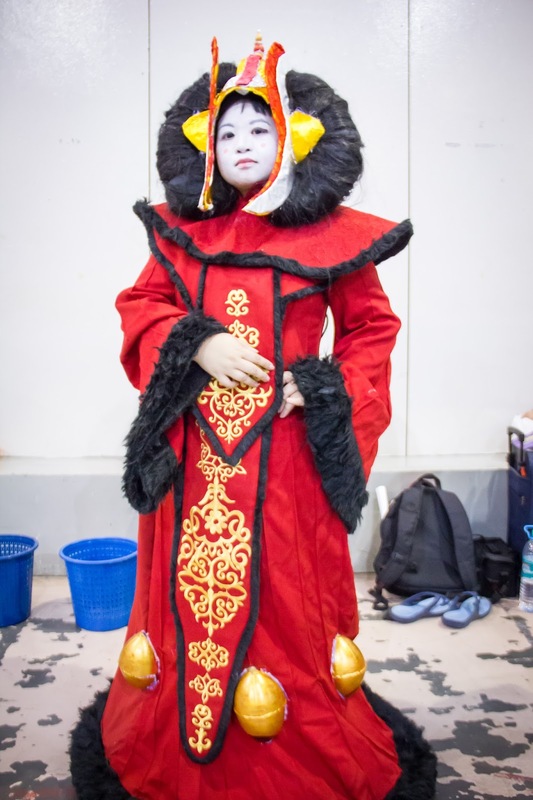 There aren't many cosplayers in the event, which is fine in itself. 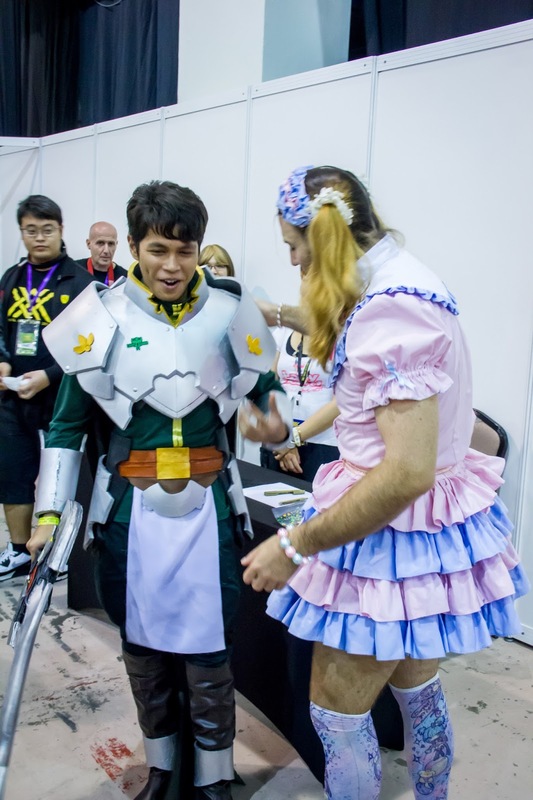 Heck, I did not cosplayed in the first day myself. 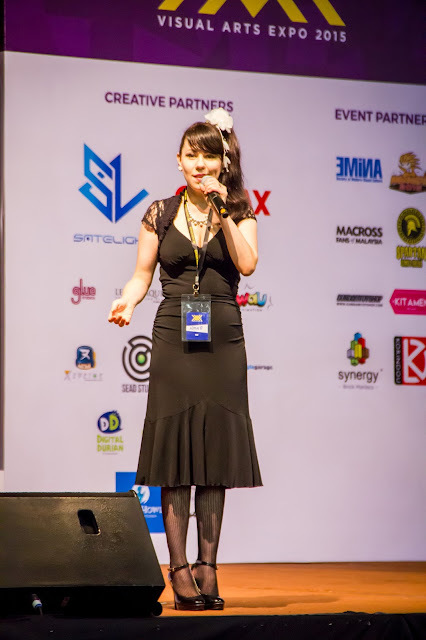 Special appearance by Aimee Blackschleger (Aimee B), a popular anisong artist. She's not only known for her work in the Japanese pop scene and her own band "Harp&Soul", but is easily recognisable from her work in the video game and anime scene. 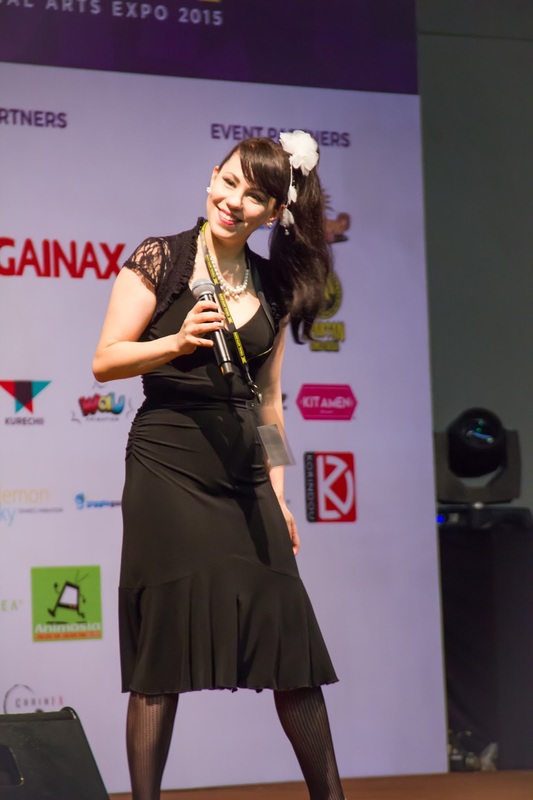 With appearance on "Final Fantasy XIII-2", "Pro Evolution Soccer" and "Attack on Titan", amongst many more, Aimee is a much sought after commercial voice in Japan. Day 2. This is where most of the fun stuff happens. 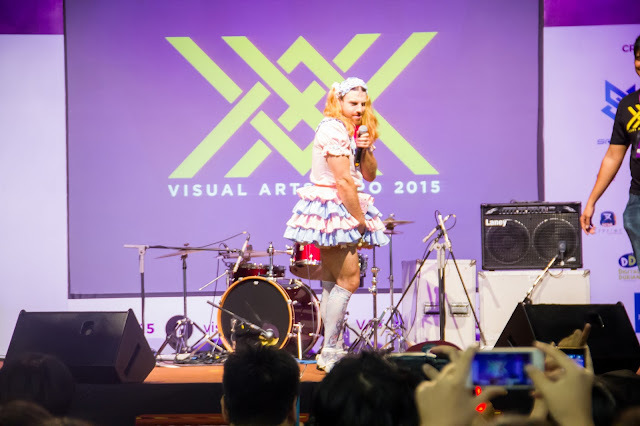 Mainly the appearance of Ladybeard of course. 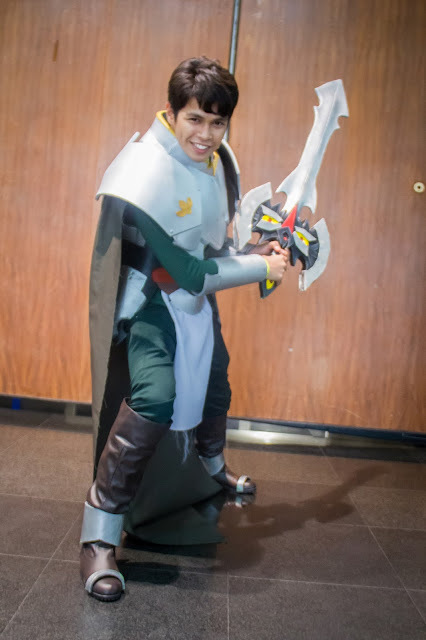 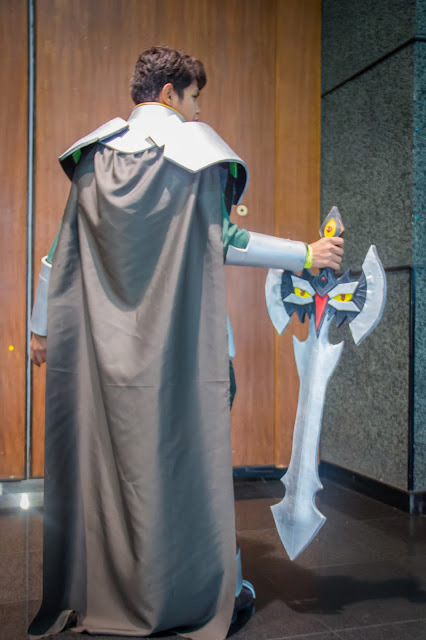 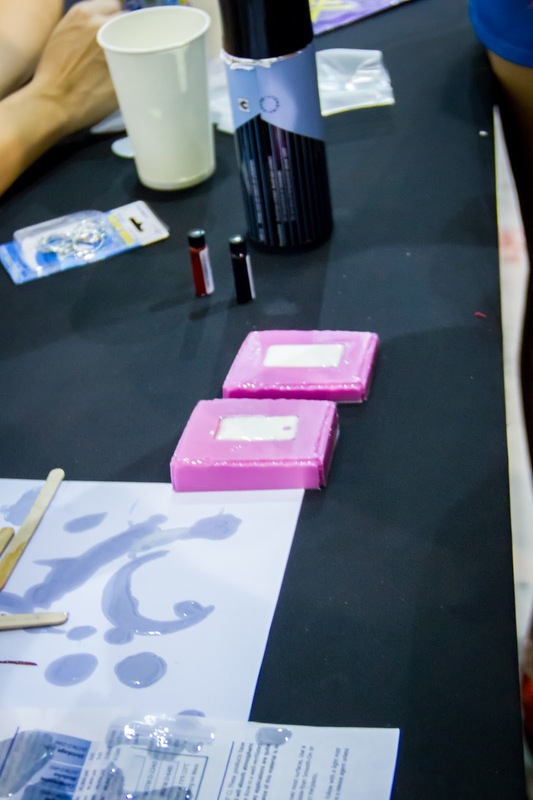 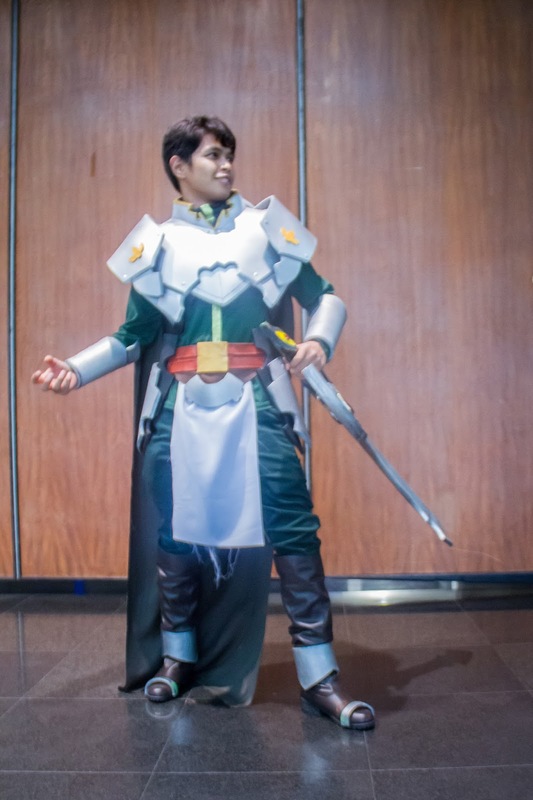 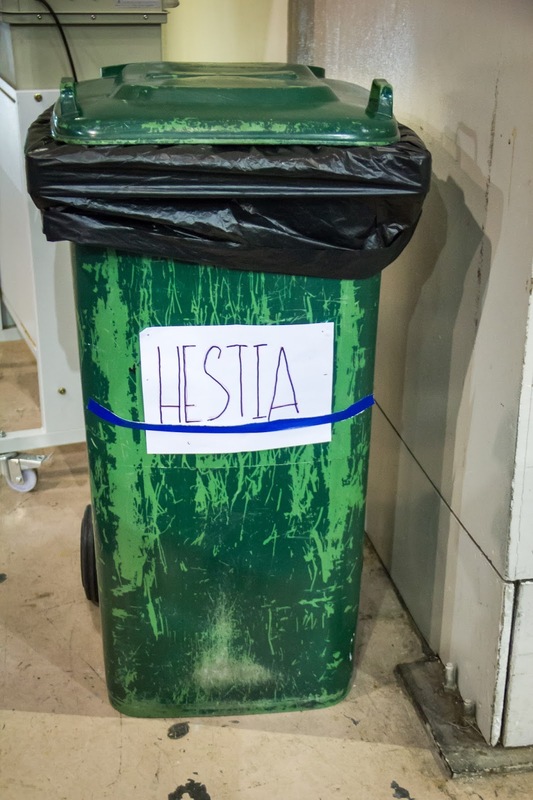 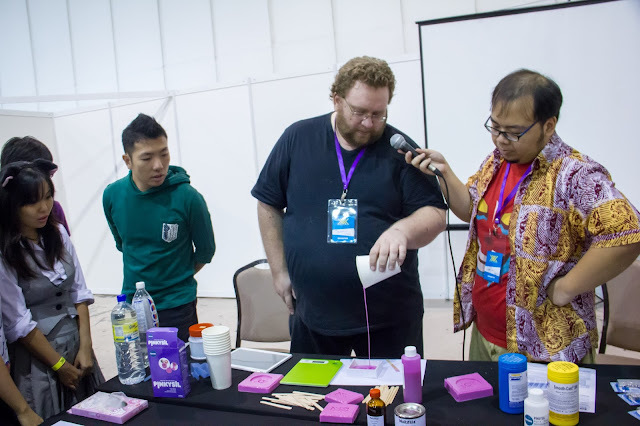 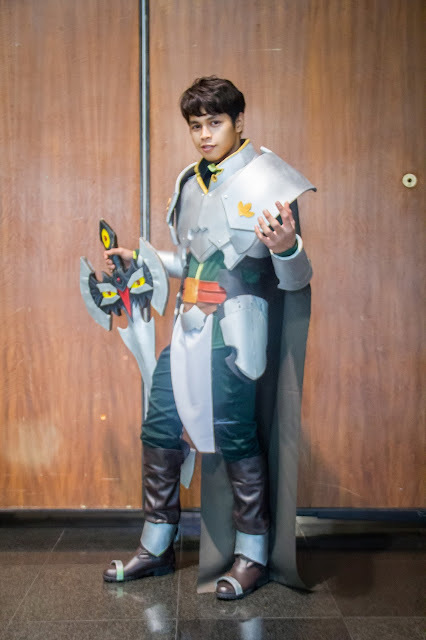 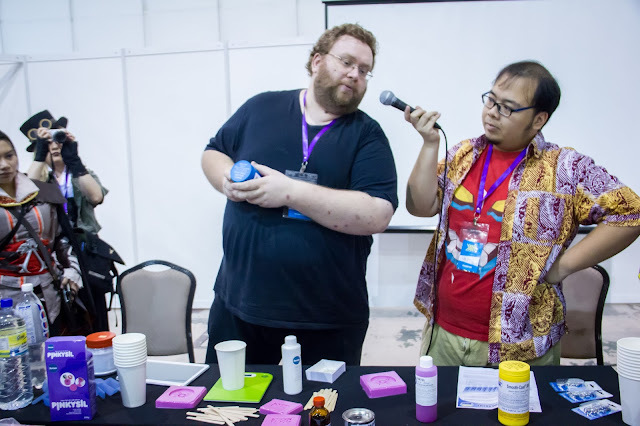 The first thing I do is to attend the cosplay workshop, where people from Helios-E teaches attendee to make props using the molding and casting method. 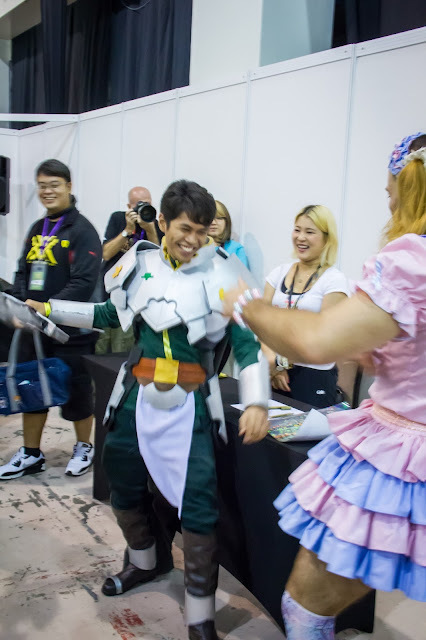 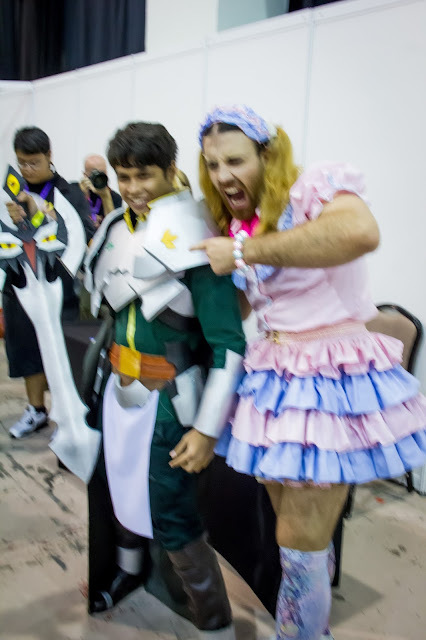 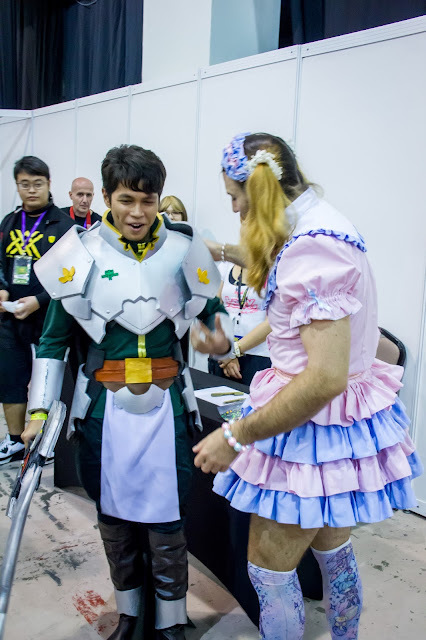 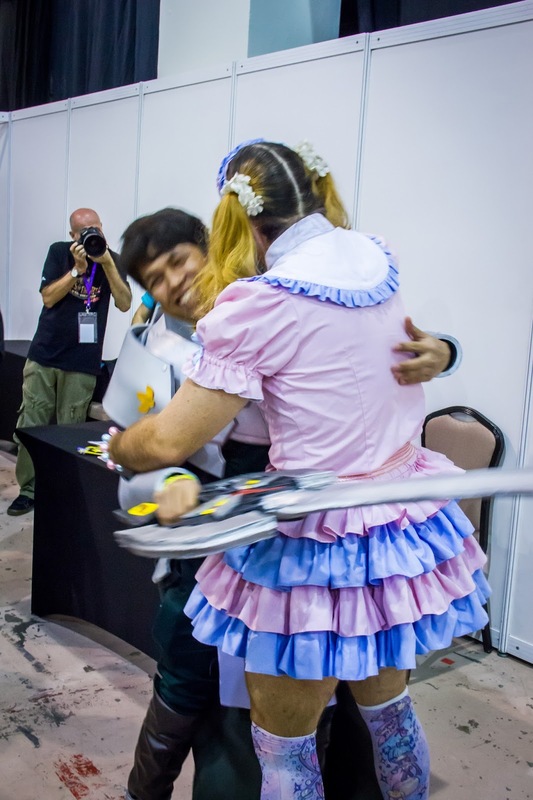 After that, I got to met Ladybeard himself for a signing session, clad in armour to met a manly guy wearing a dress. 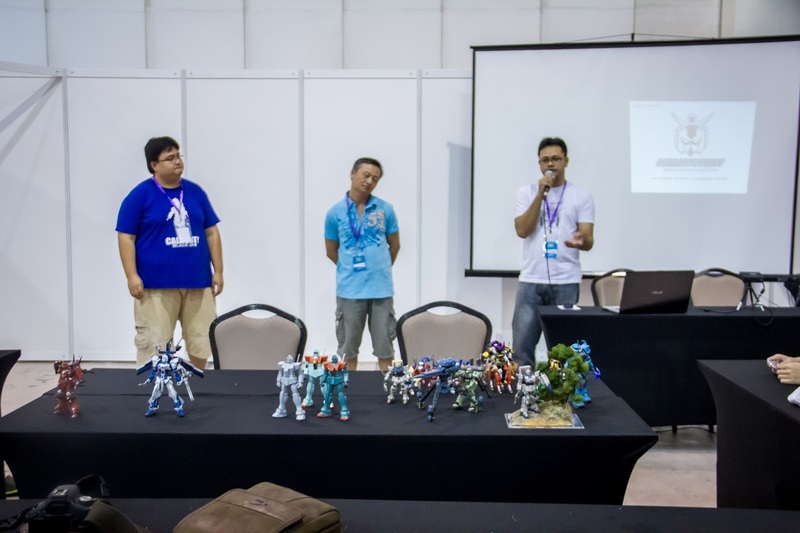 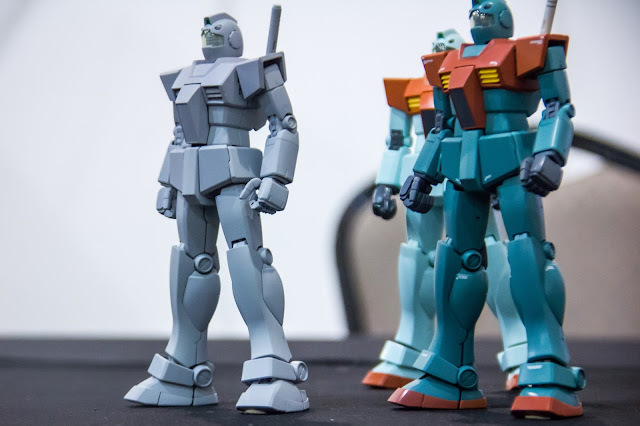 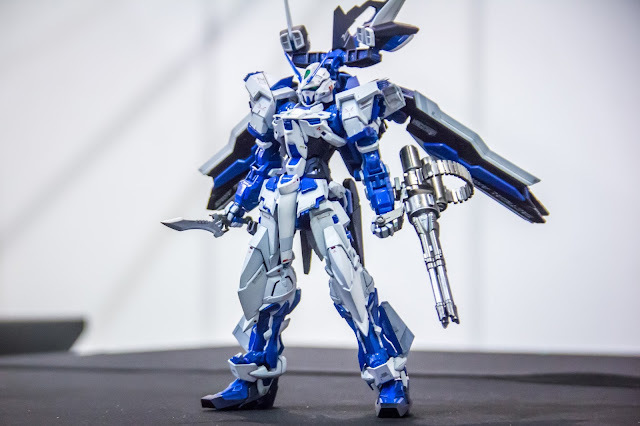 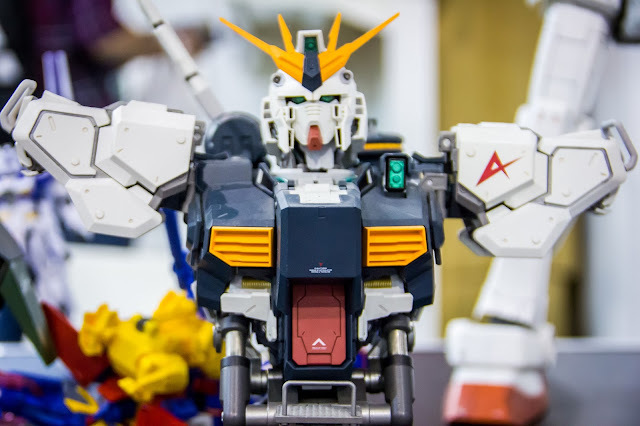 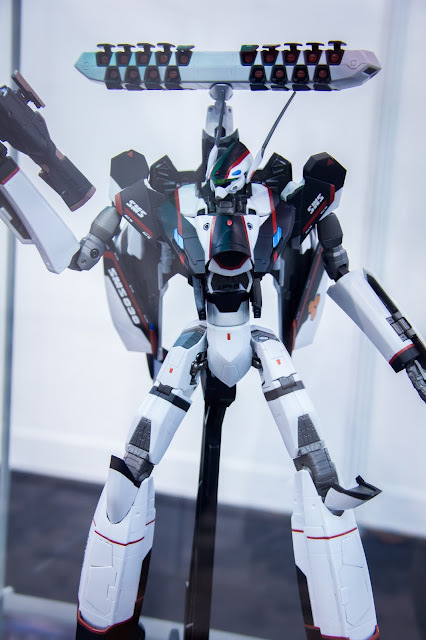 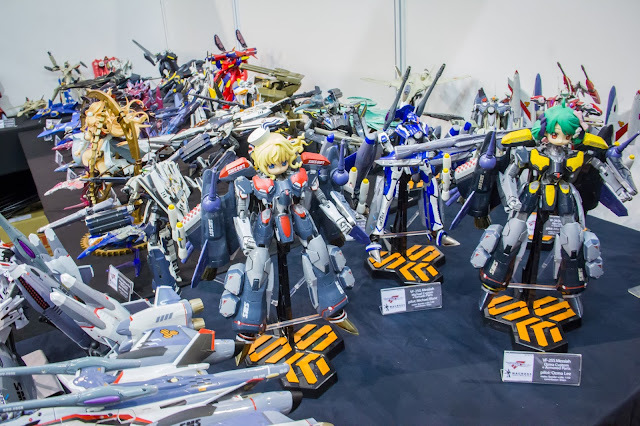 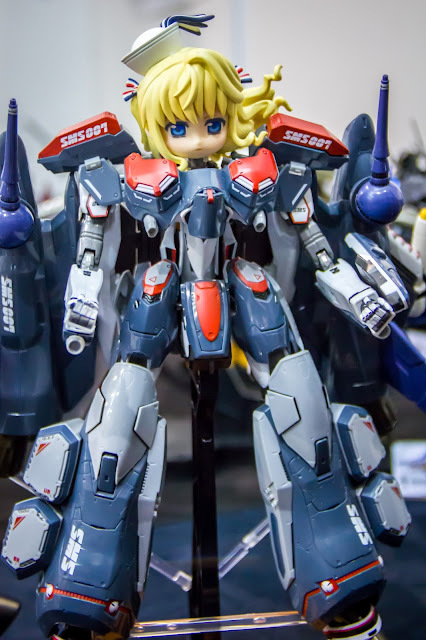 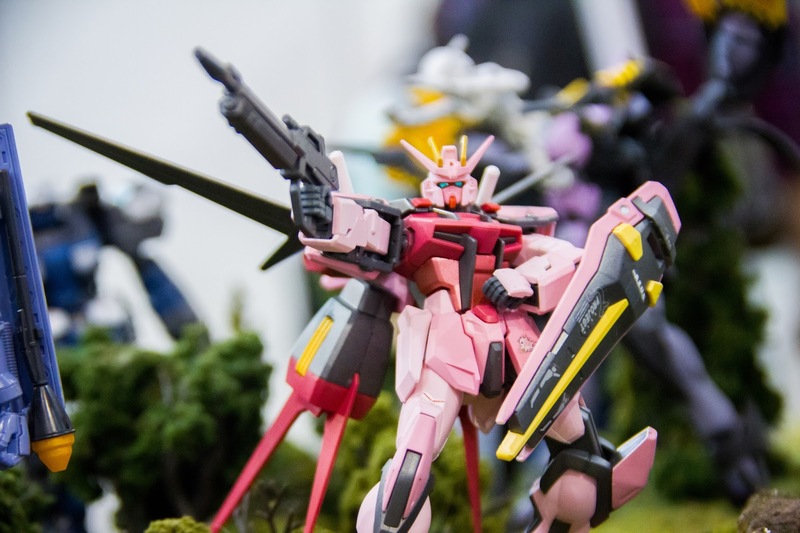 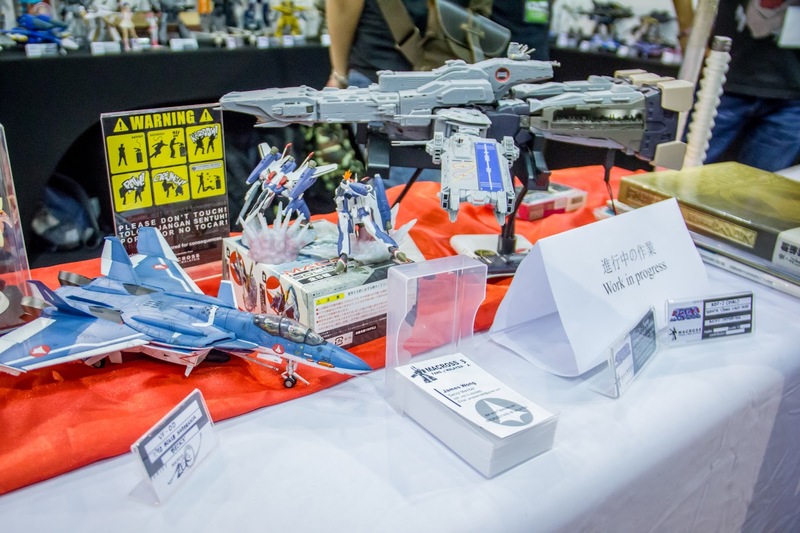 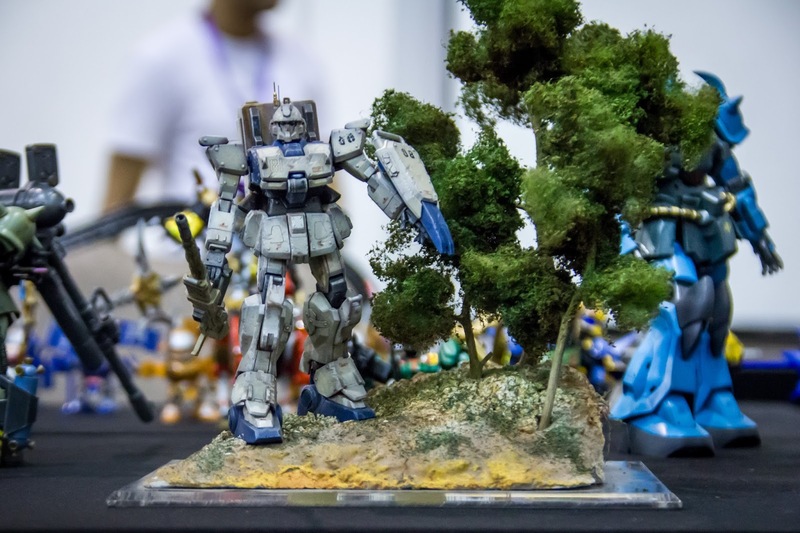 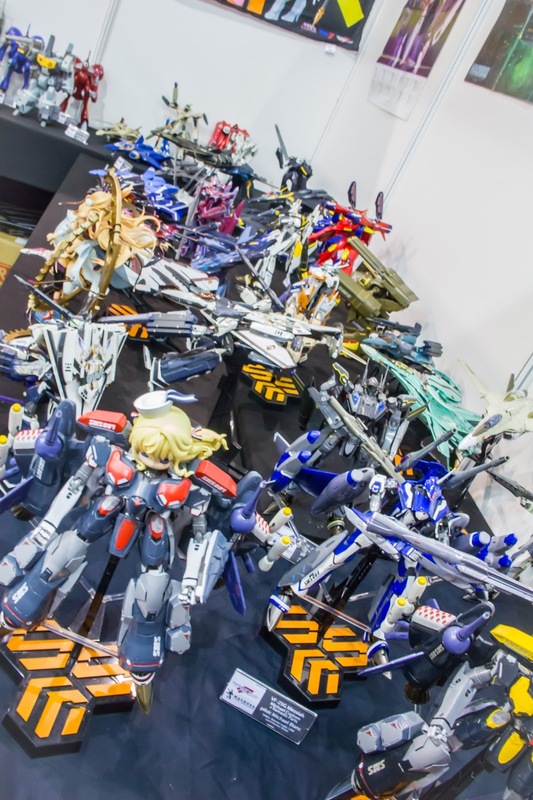 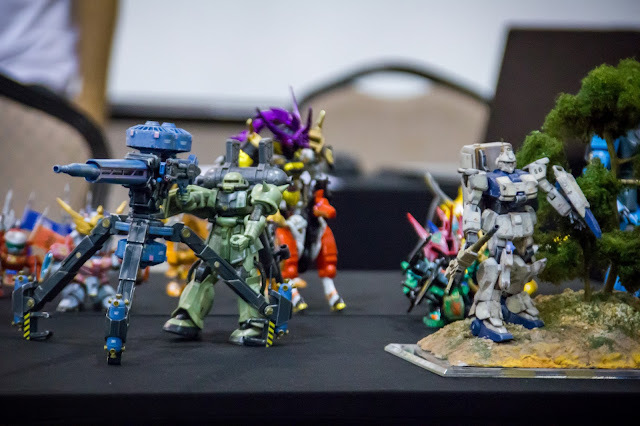 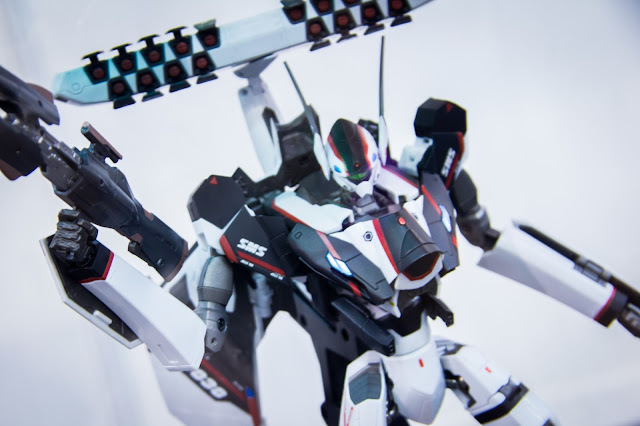 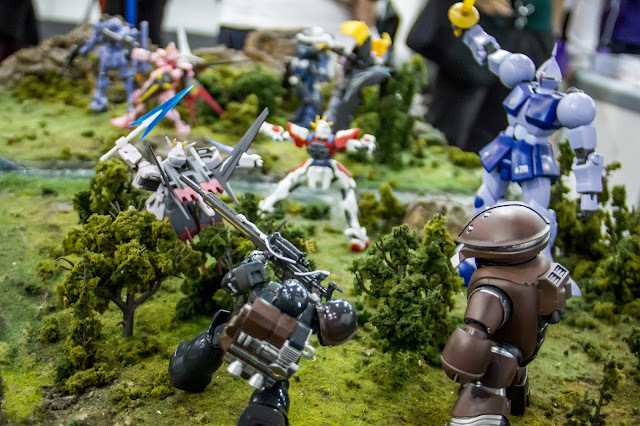 Gunpla workshop for those who is into building Gundam model. 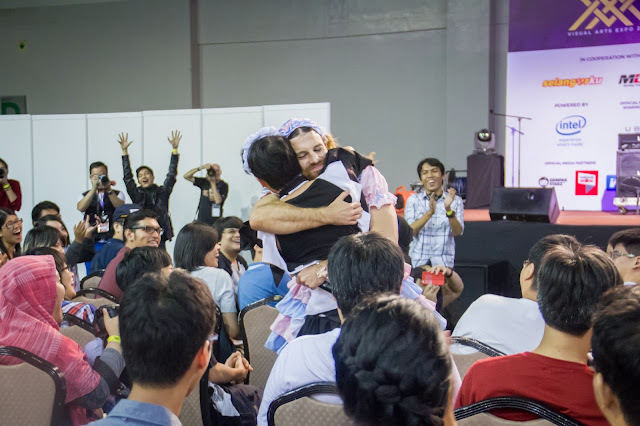 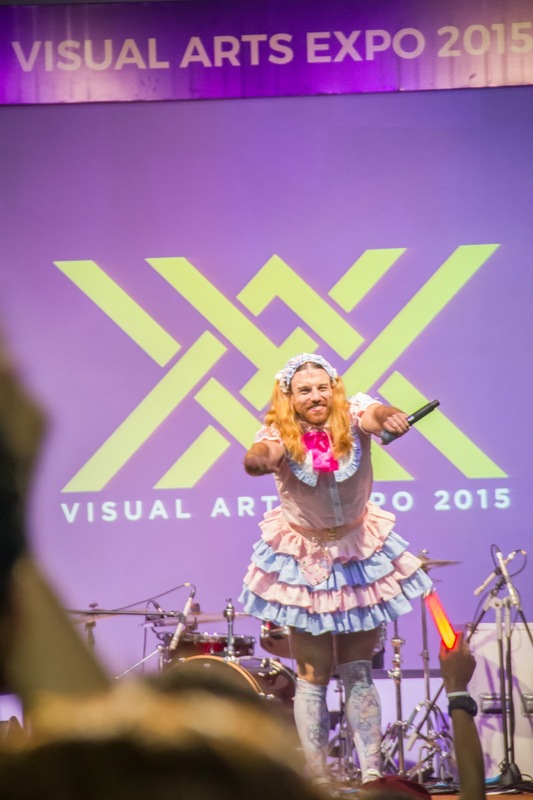 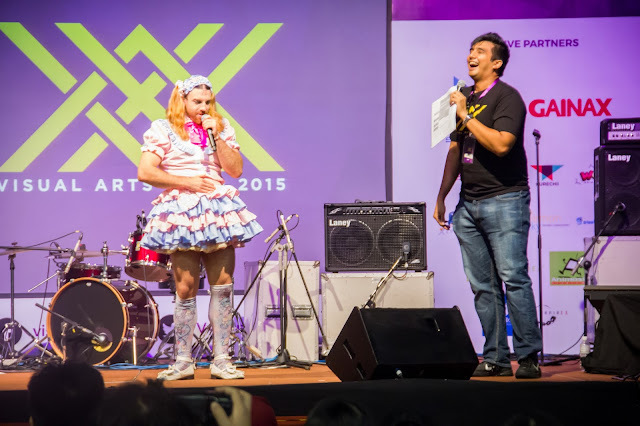 Ladybeard is awesome. 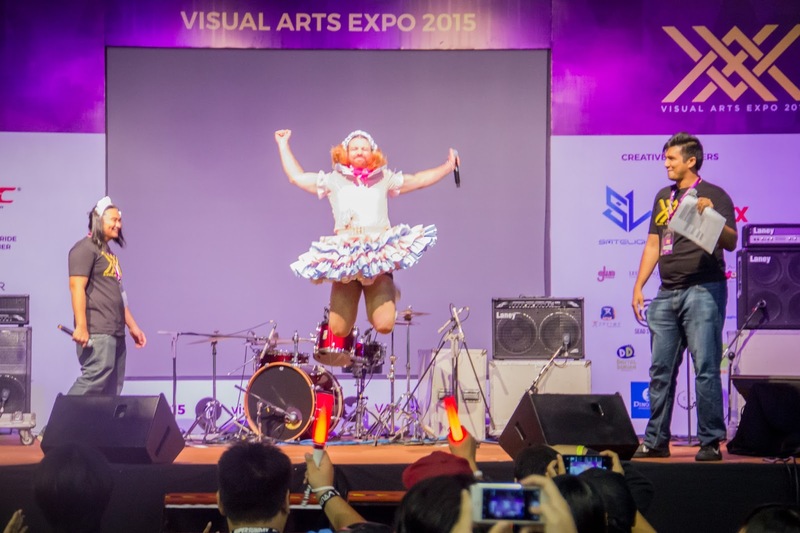 He's a multi talented entertainer. With his idiosyncratic mix of kawaiicore (pop+deathgrowls) musical performance, pro-wrestling panache and a wardrobe that mixes cross-dressing with muscle, Ladybeard is a full-on party machine who lives by the motto "Sing, Dance, Destroy!" 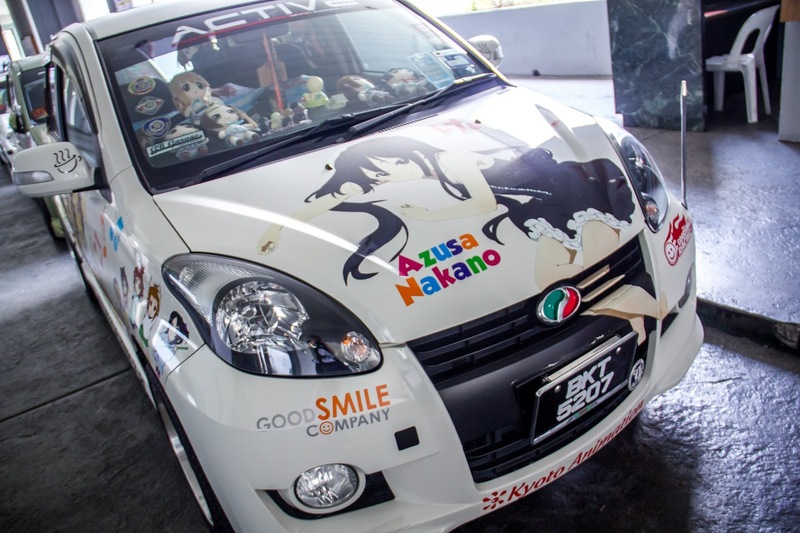 Other guest artists include Harmonia, a popular and talented local group and Back-On, a Japanese rock band recognized for anime and game opening theme such as Air Gear opening "Chain". 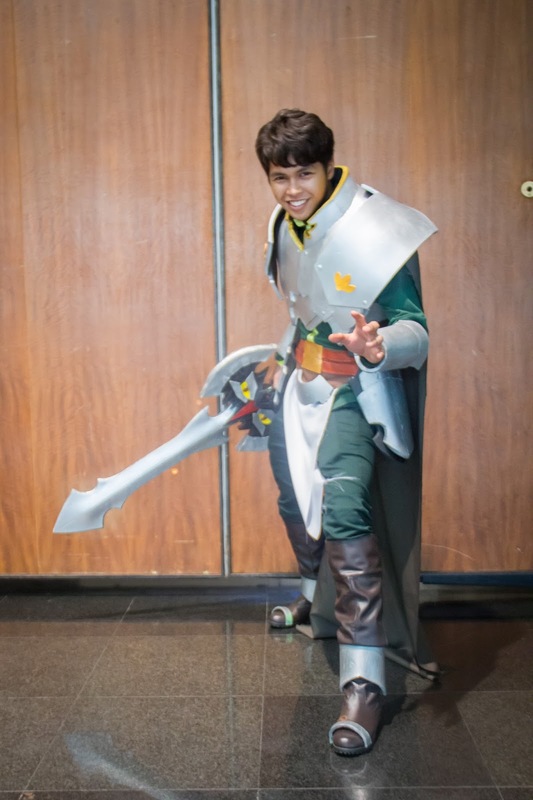 As you can see, I've cosplayed as Rance from the Rance series on day 2. Not many people recognized me, but for those who does, I salute you fellow gentlemen. 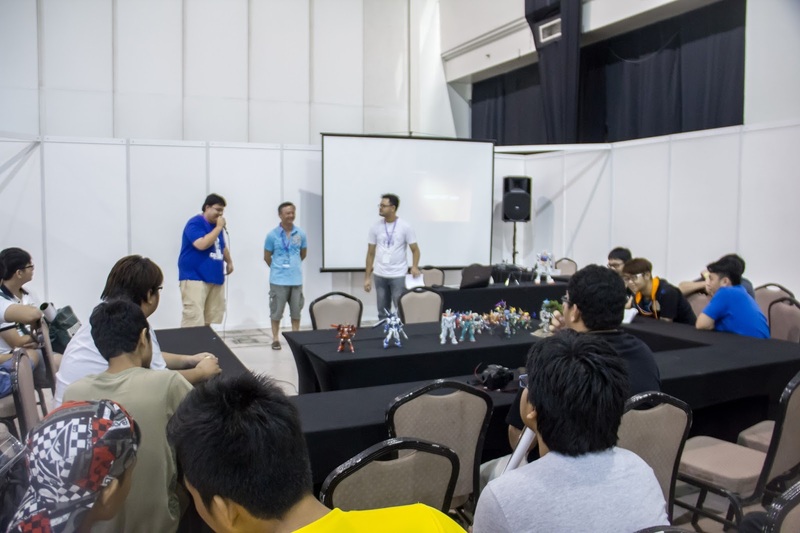 Overall, VAX is a very enjoyable event that was not that big, but rather focused and packed with activity. 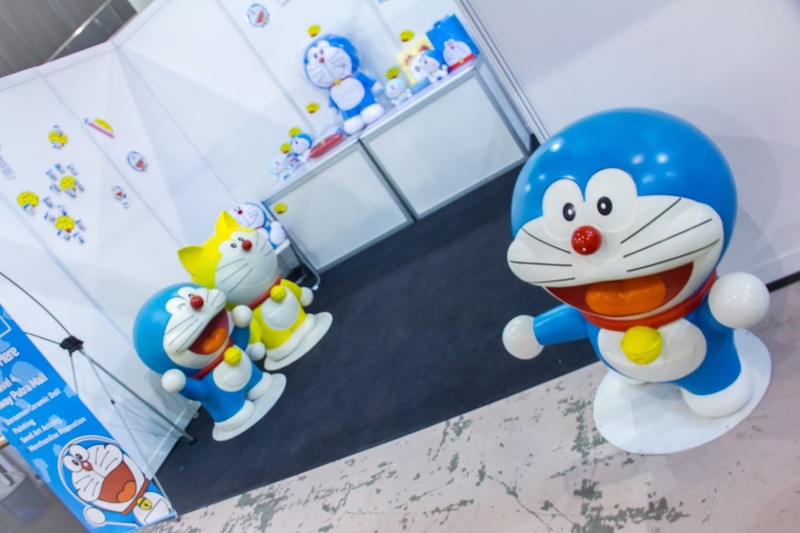 They managed to bring in several important guests, that make the event itself shine. 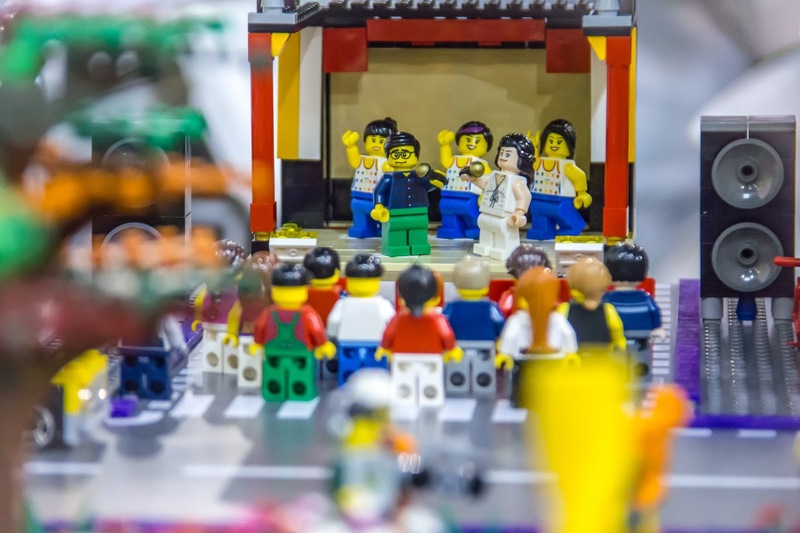 The concert at the end is really, really fun (didn't manage to take pictures of it since it was prohibited) and I got to say I was really impressed at the effort the organizers put into this event. 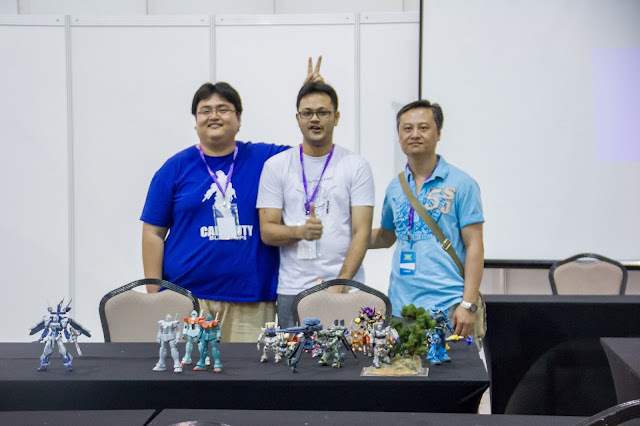 Hope to see more next year!